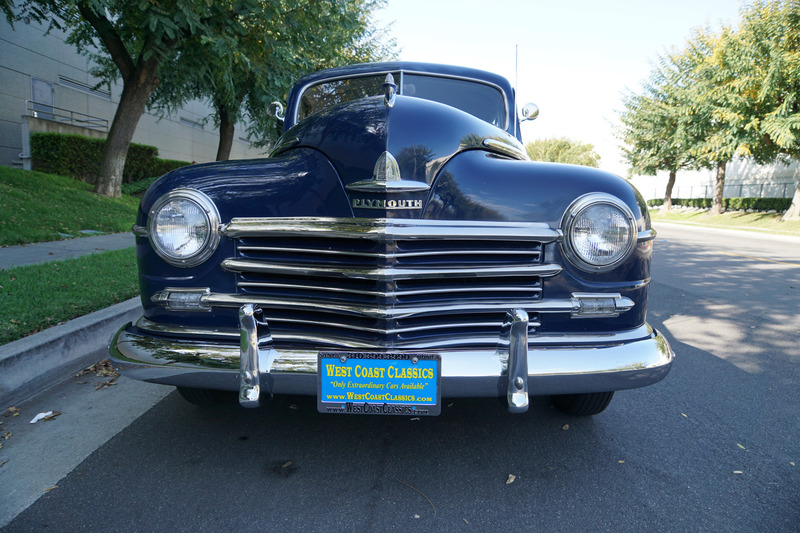 West Coast Classics are proud to present this absolutely exceptional and stunning example of this completely rust and seemingly accident free 1948 Plymouth Special Deluxe 'Series P15' 2 Door Coupe with it's reliable and virtually bullet-proof Chrysler in line Flathead 218 six cylinder engine with a manual synchromesh 3 speed transmission! 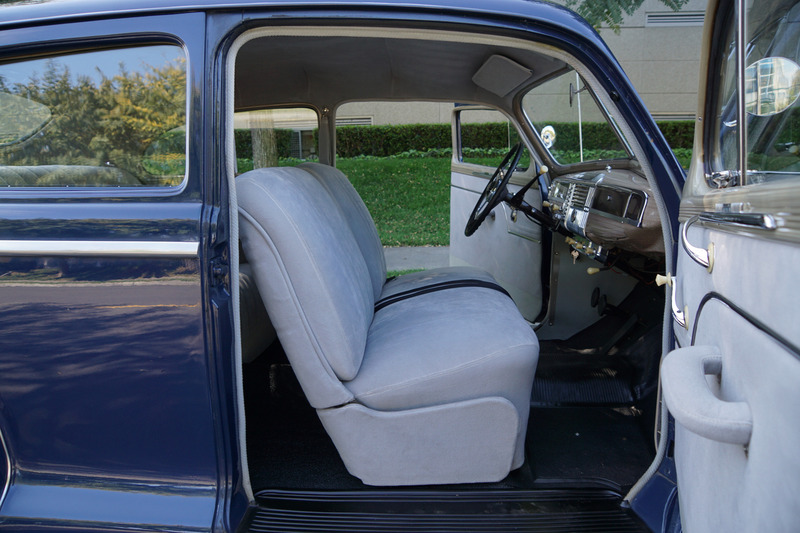 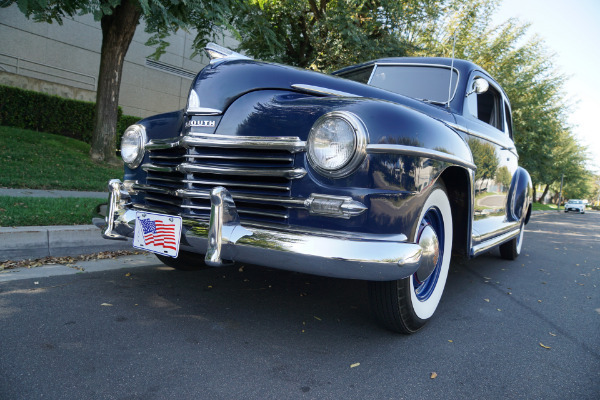 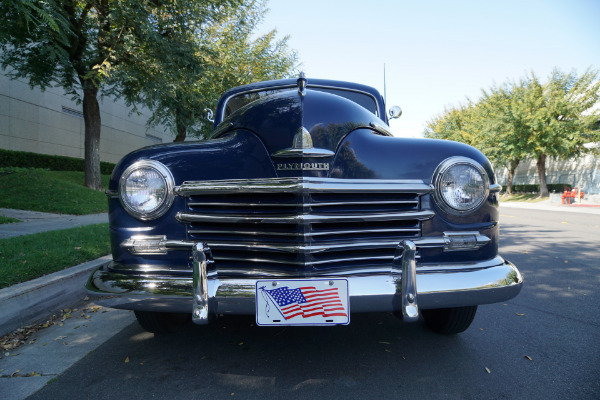 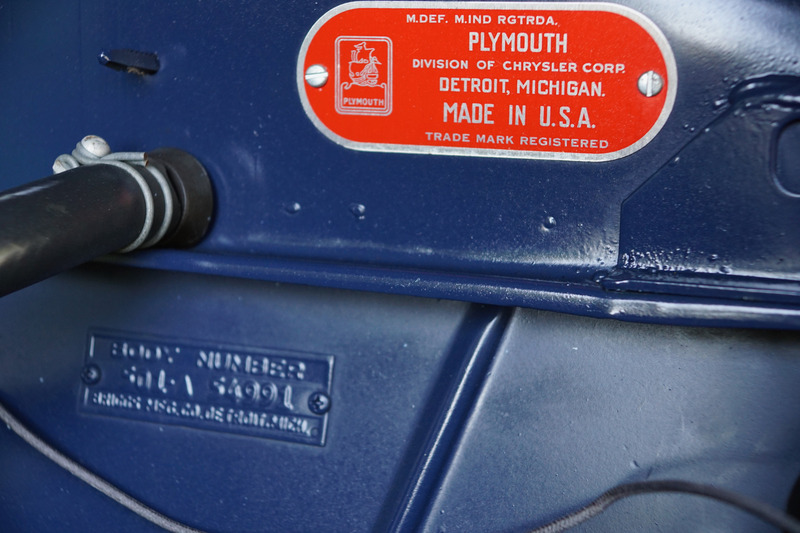 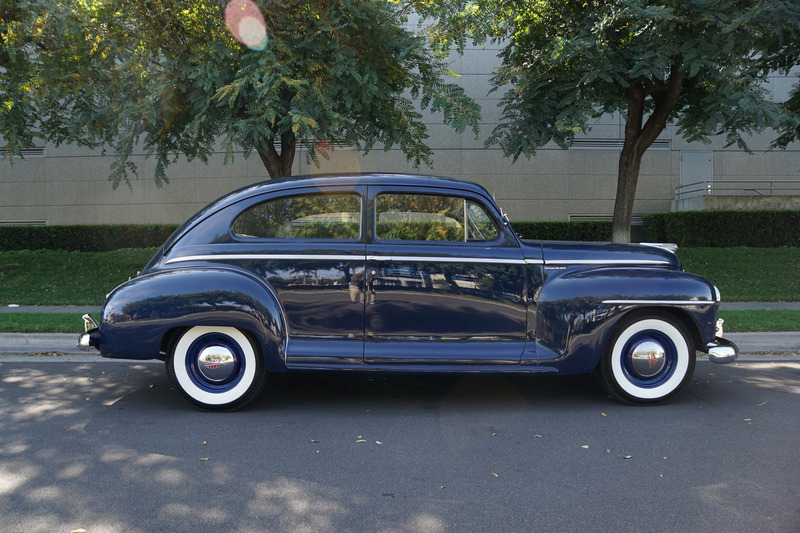 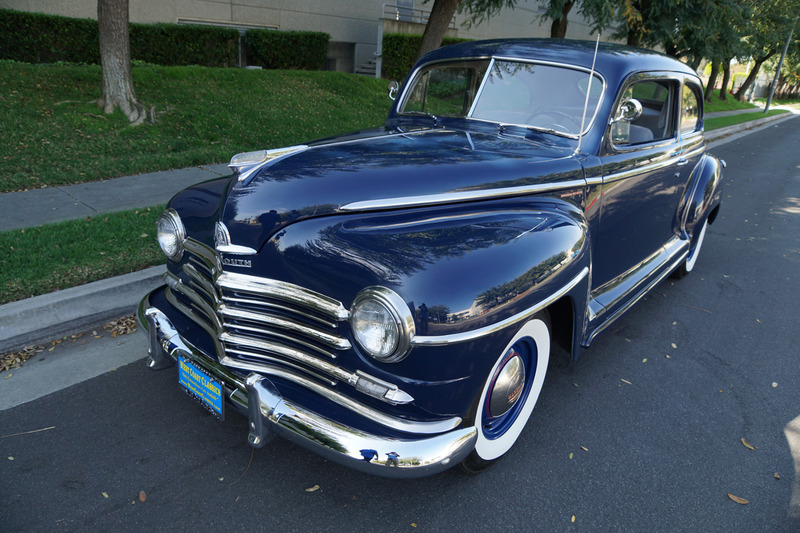 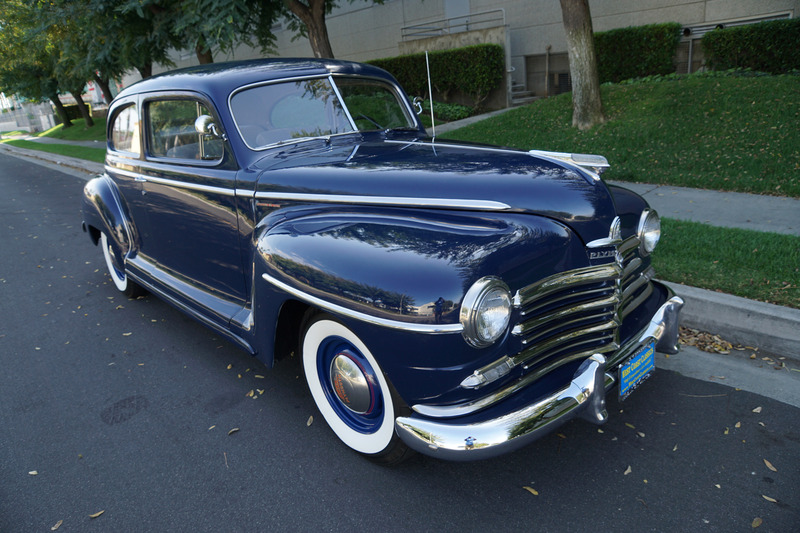 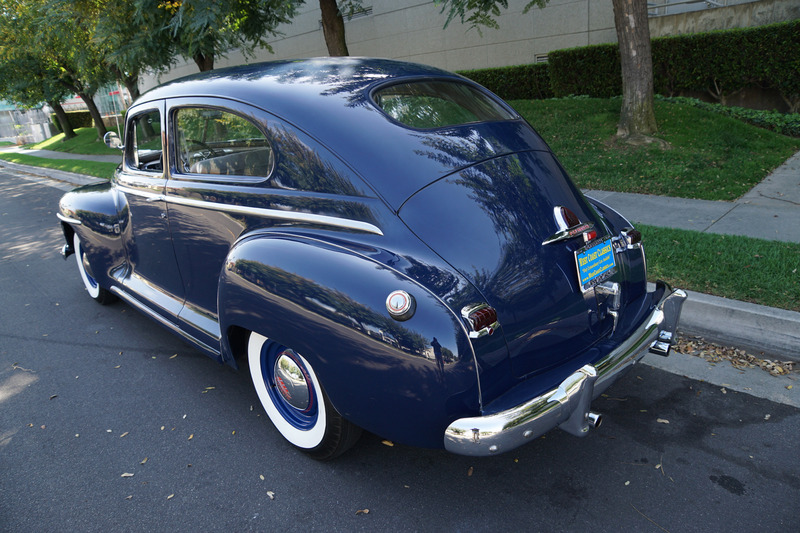 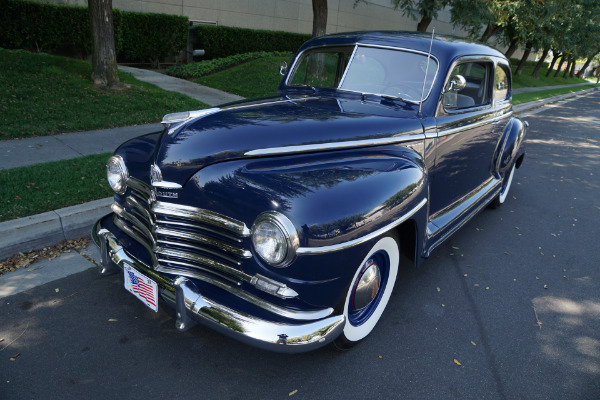 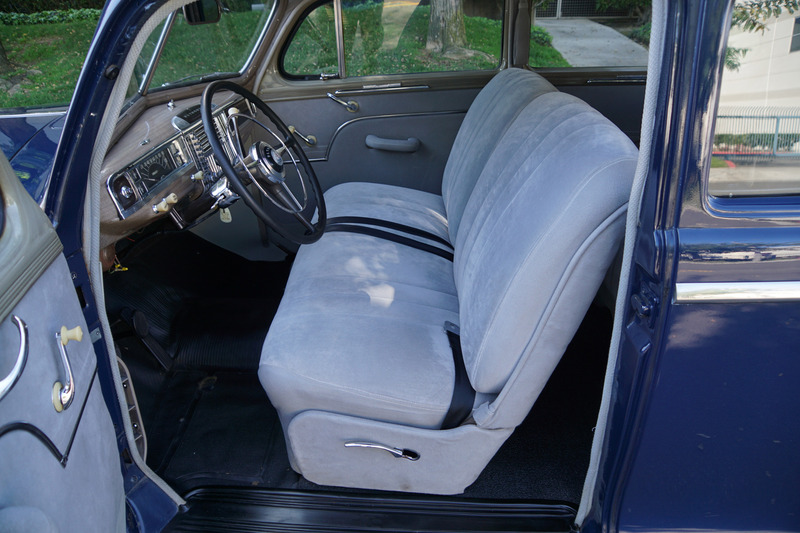 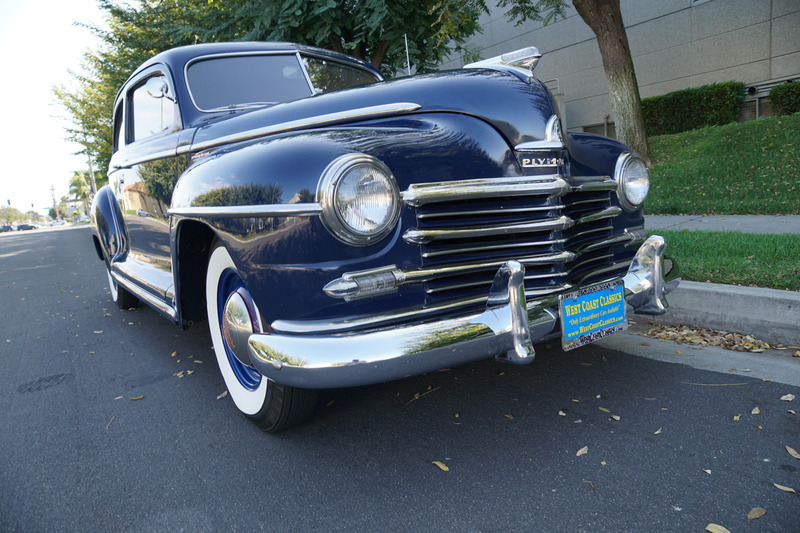 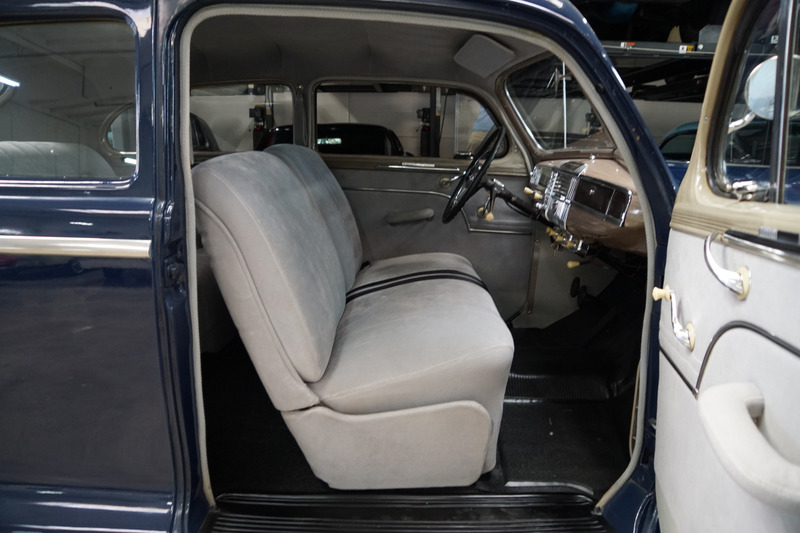 The top-of-the-line model for Plymouth in the late forties was known as the 'Special Deluxe' with stainless steel front fender and beltline moldings which trimmed the hood and body belt line and standard equipment included front door armrests, dual windshield wipers, stainless steel windshield surrounds, chrome rocker panel moldings, hood ornament, hubcaps and a heater & defroster. 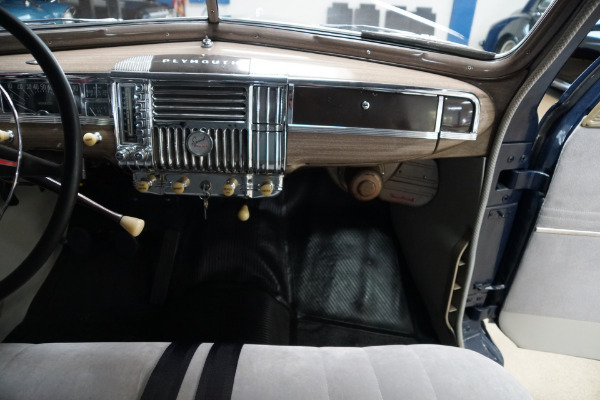 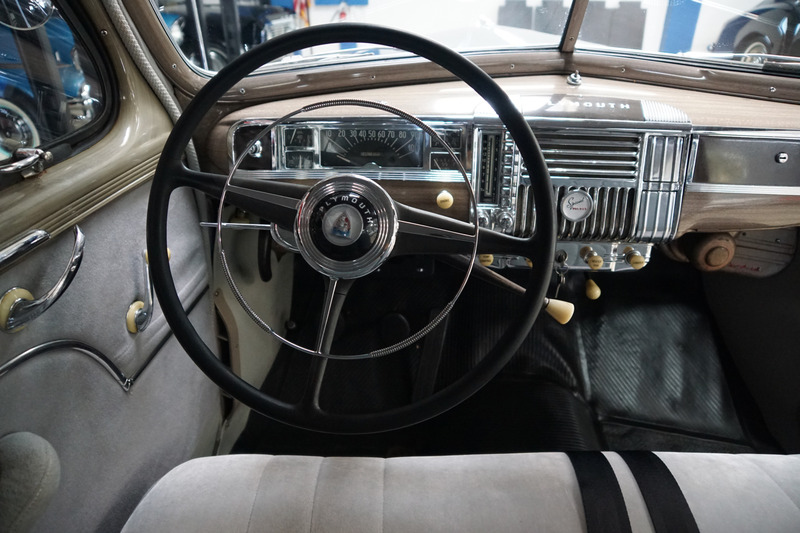 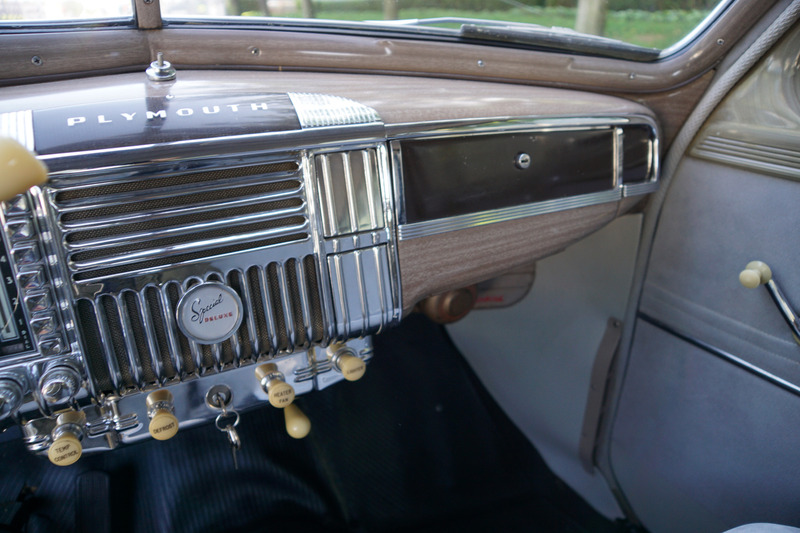 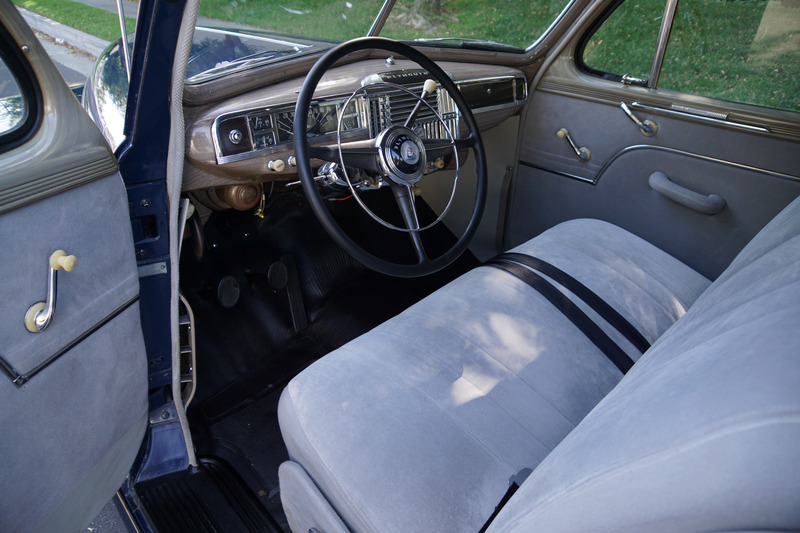 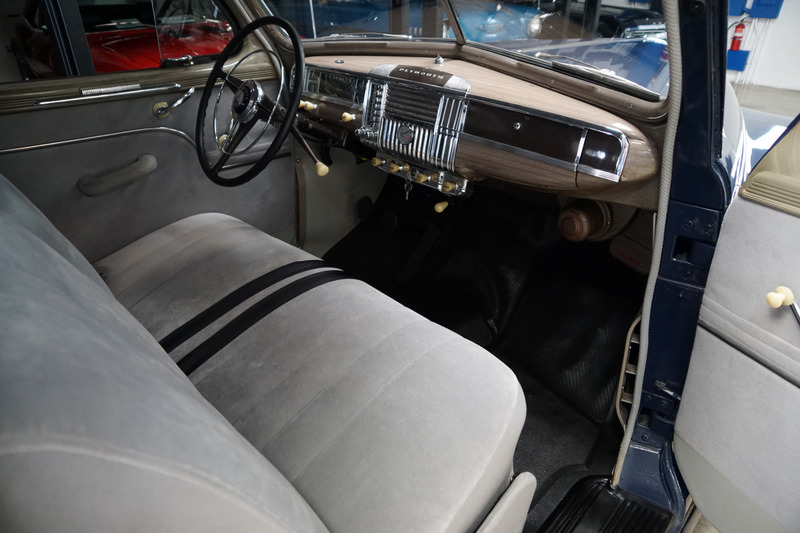 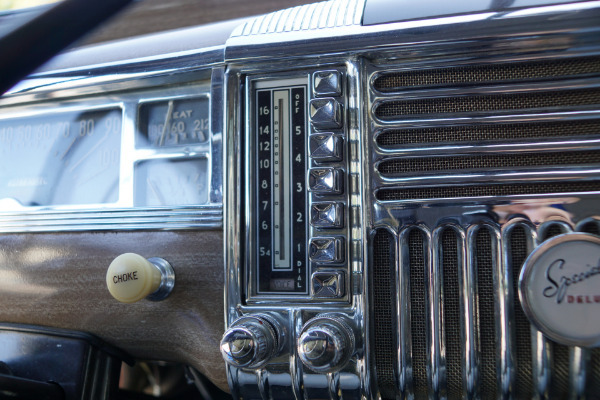 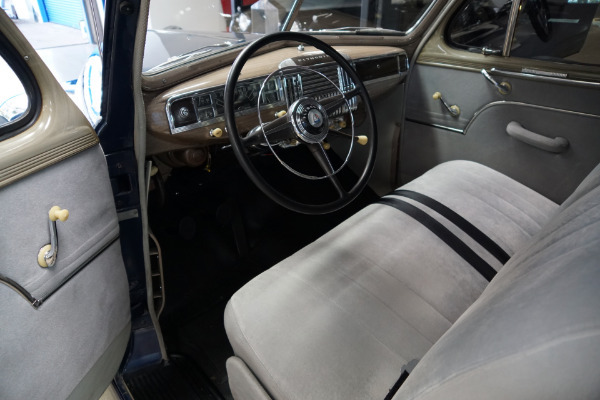 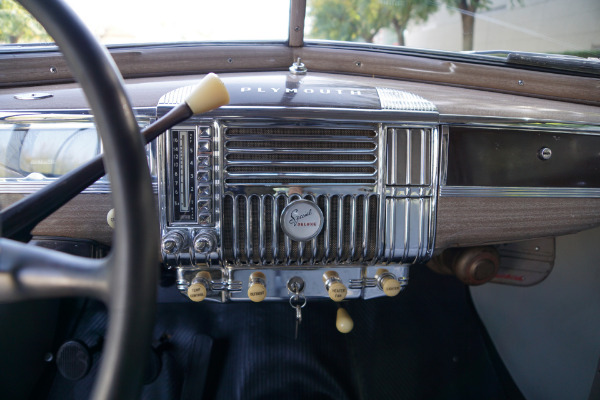 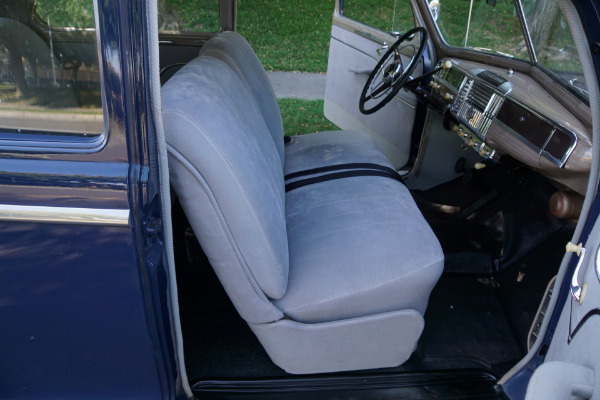 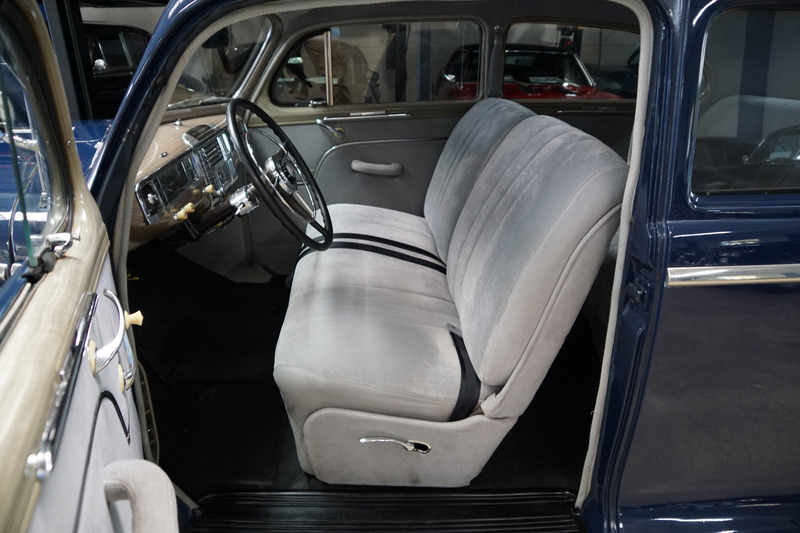 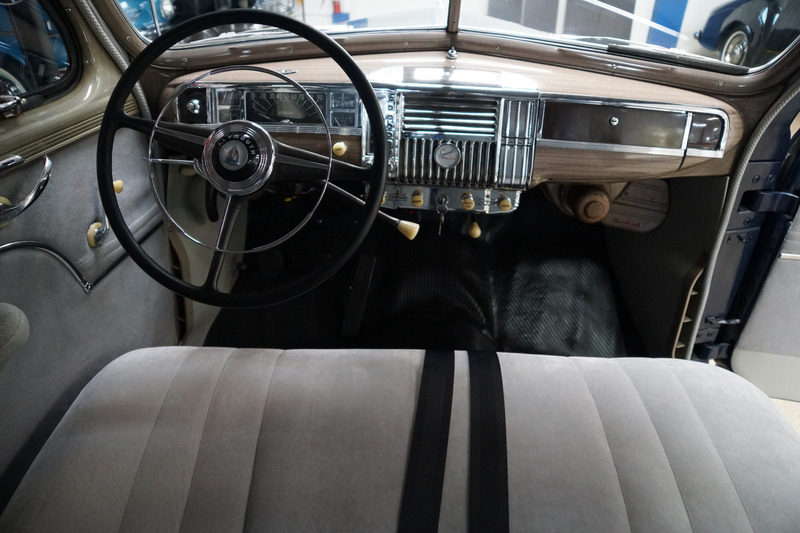 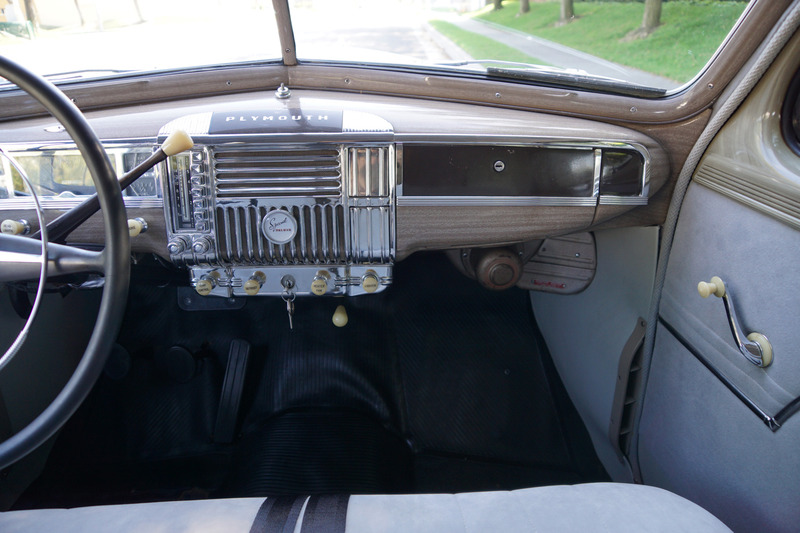 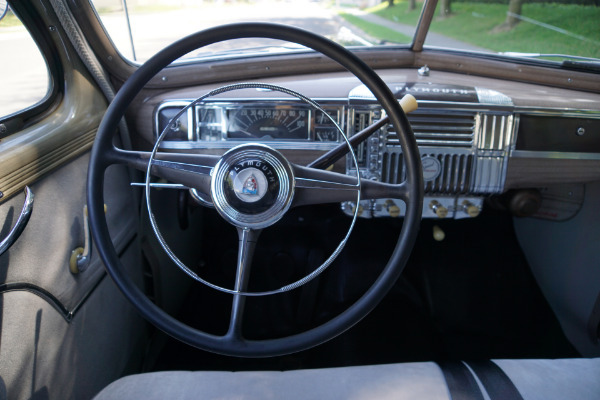 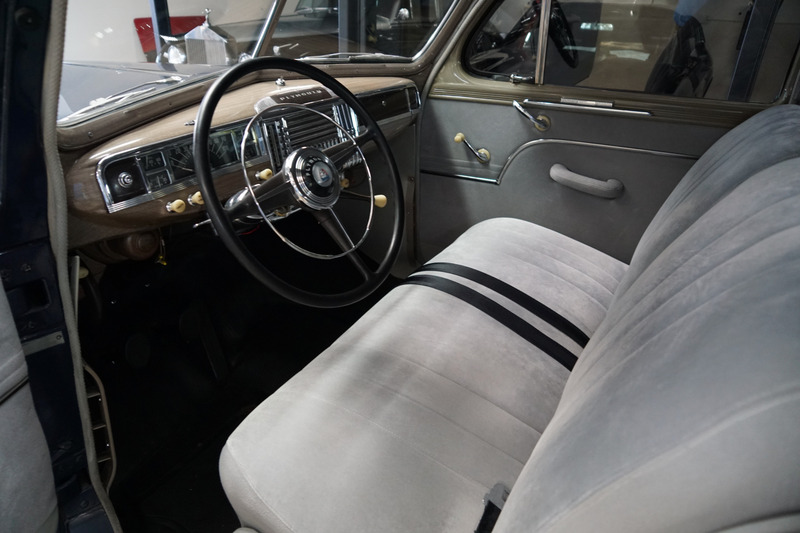 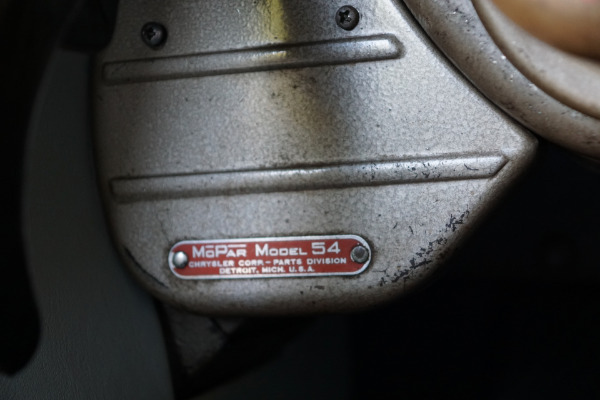 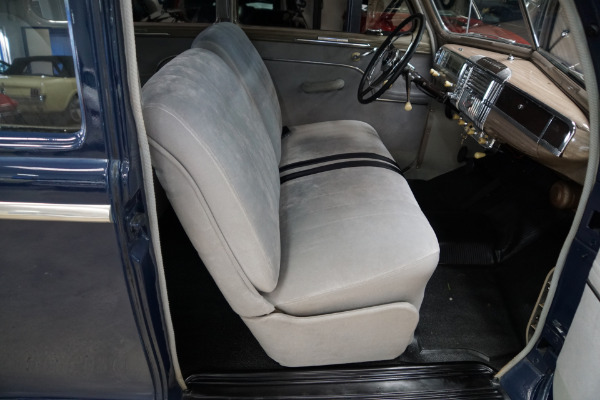 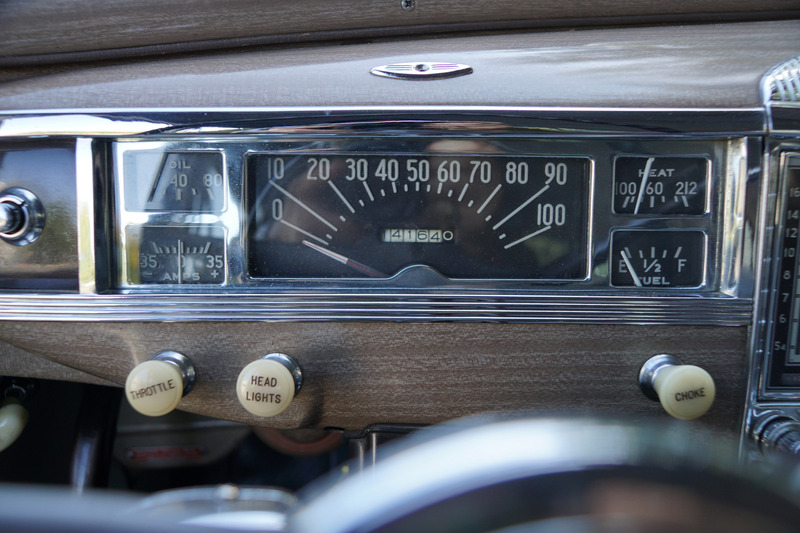 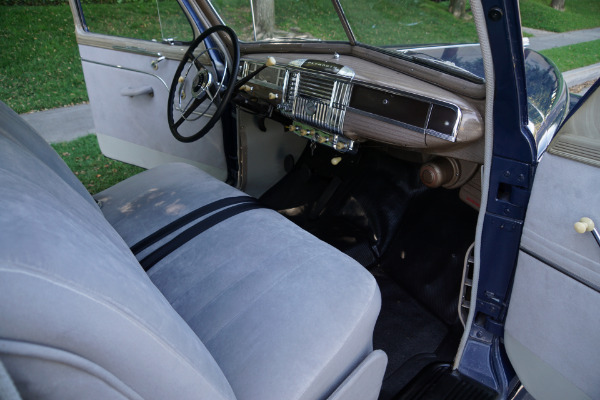 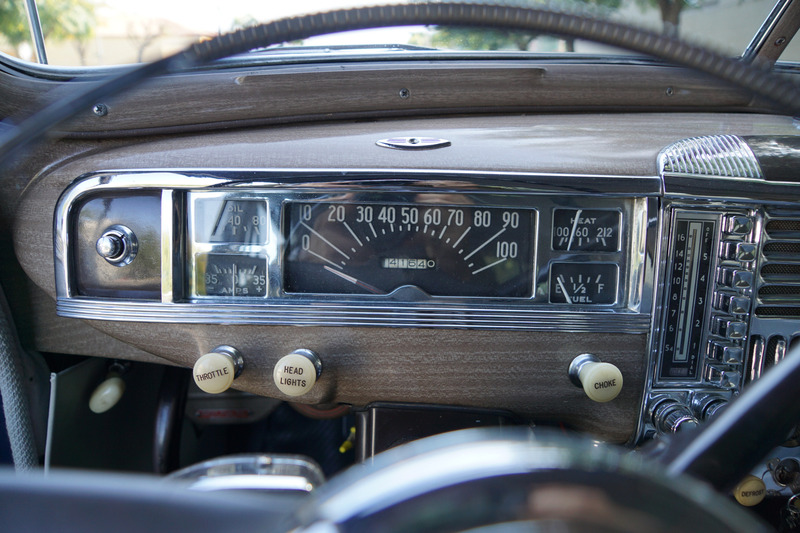 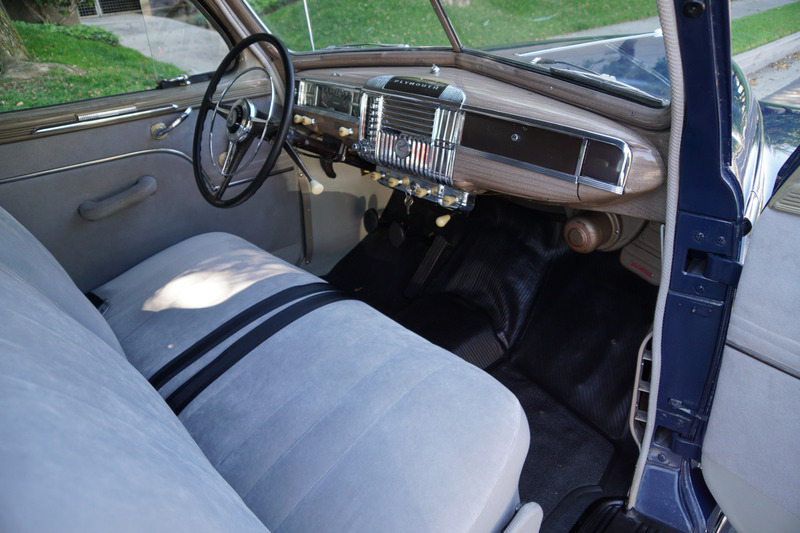 Interiors were richly appointed in broadcloth fabric and an attractive woodgrained instrument panel surrounded the speedometer and auxiliary gauges and a chromed radio grille was positioned in the center. 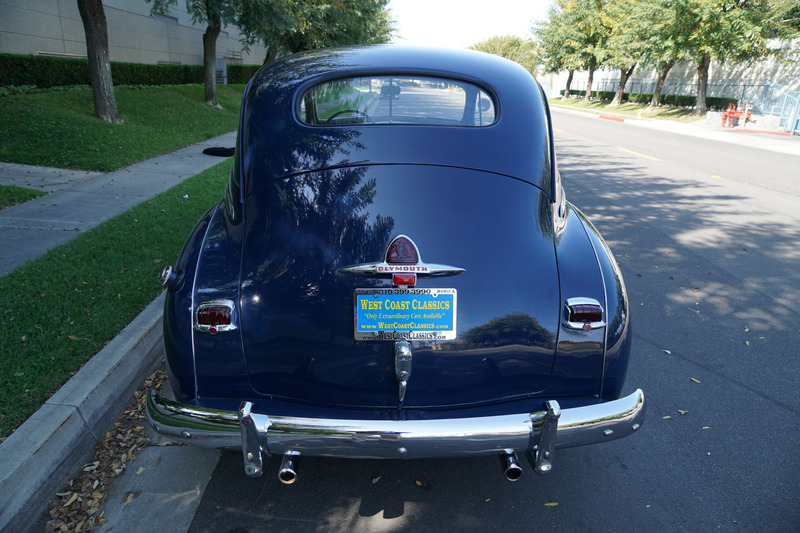 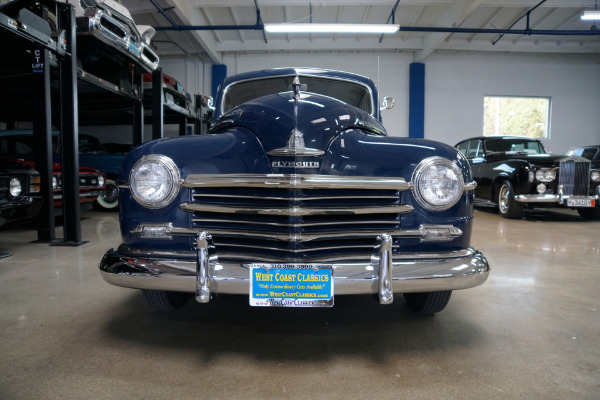 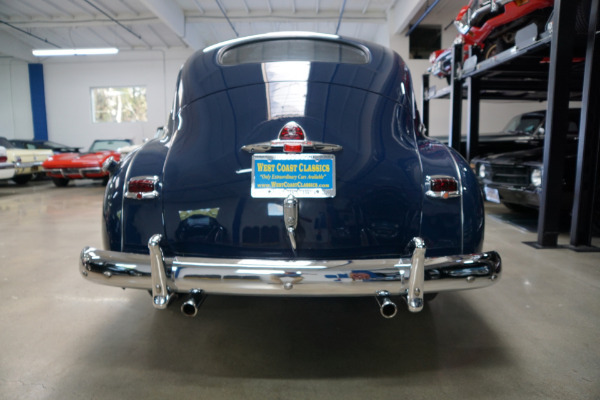 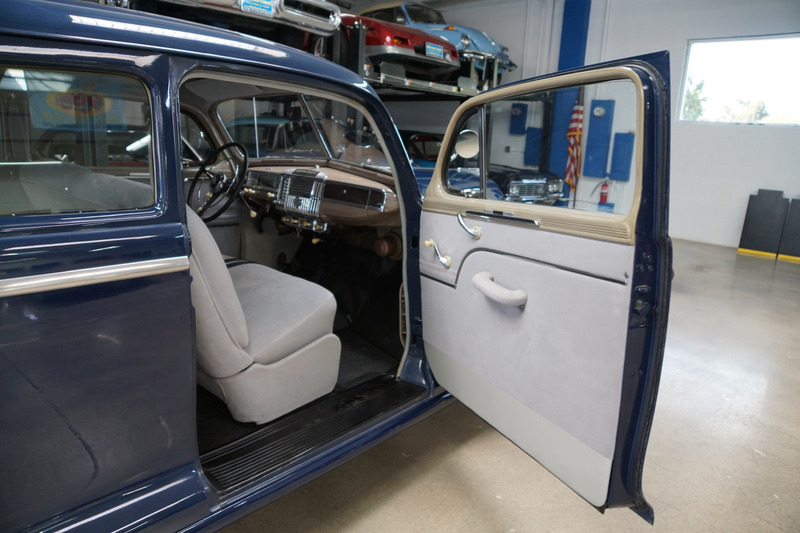 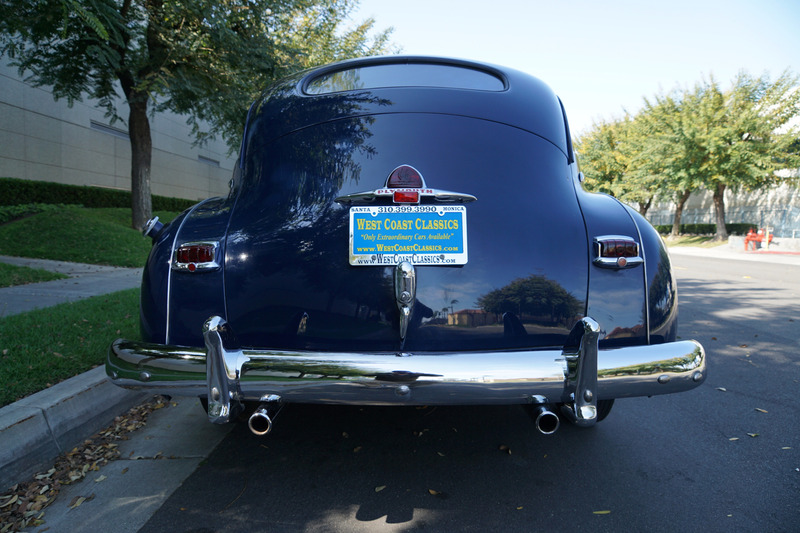 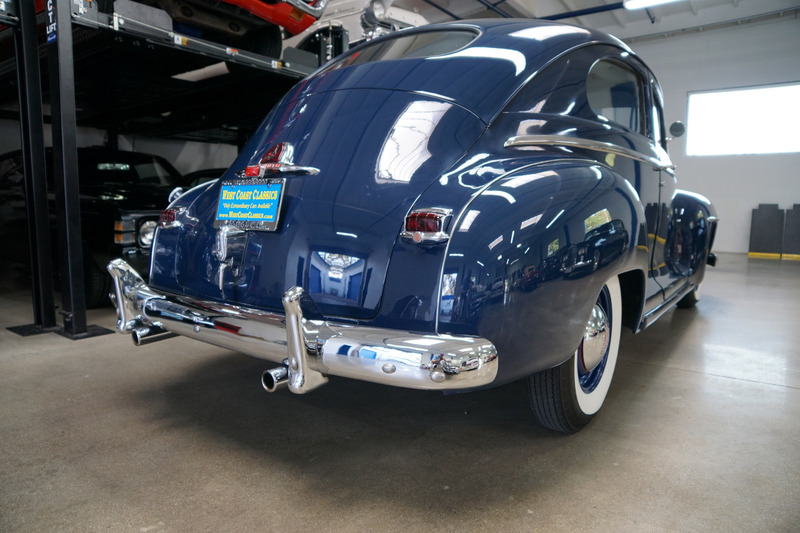 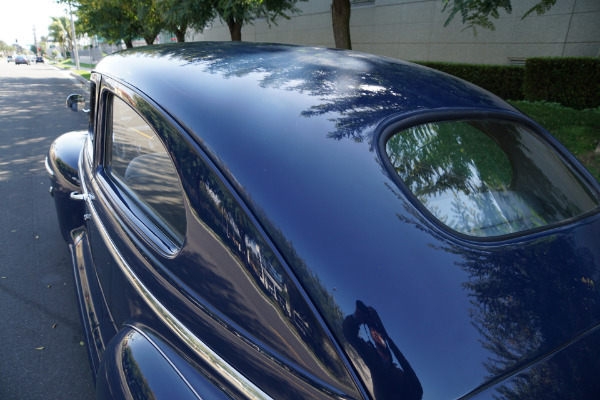 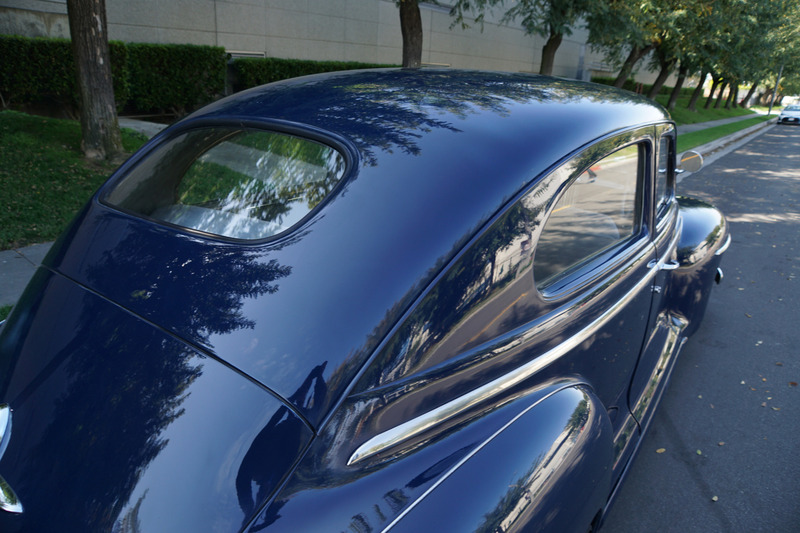 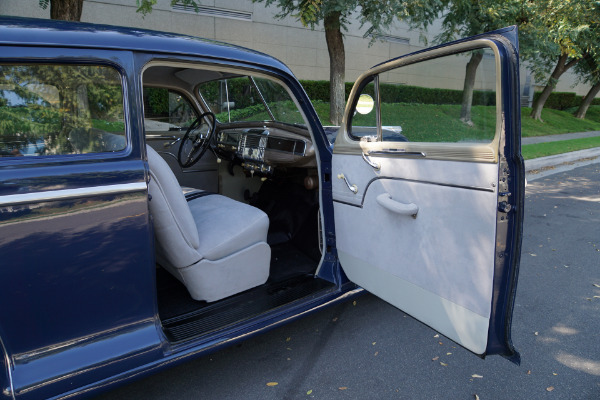 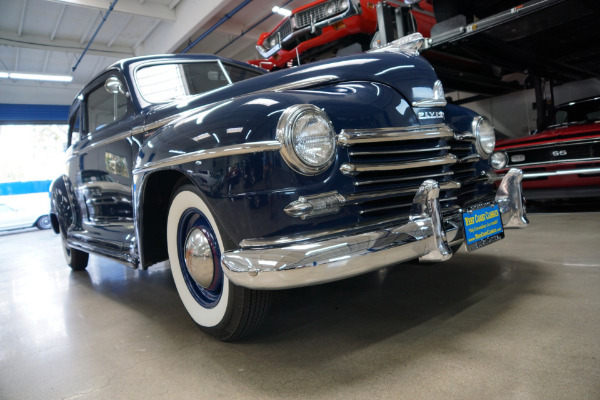 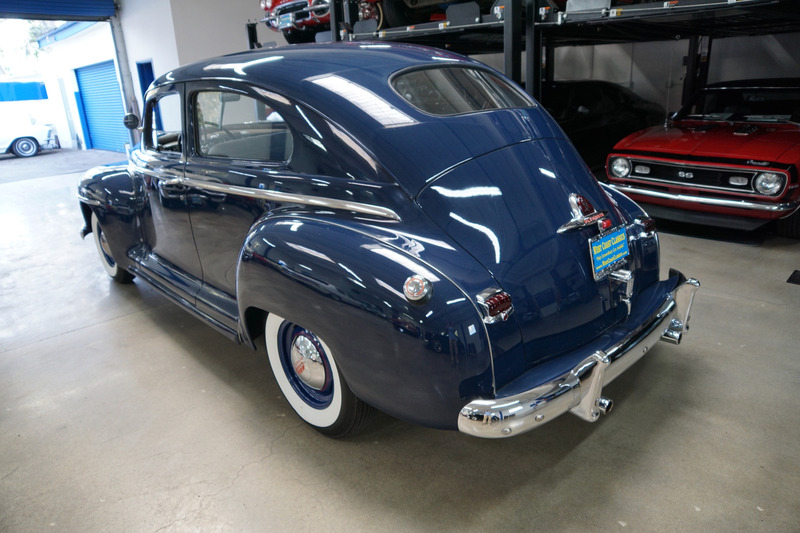 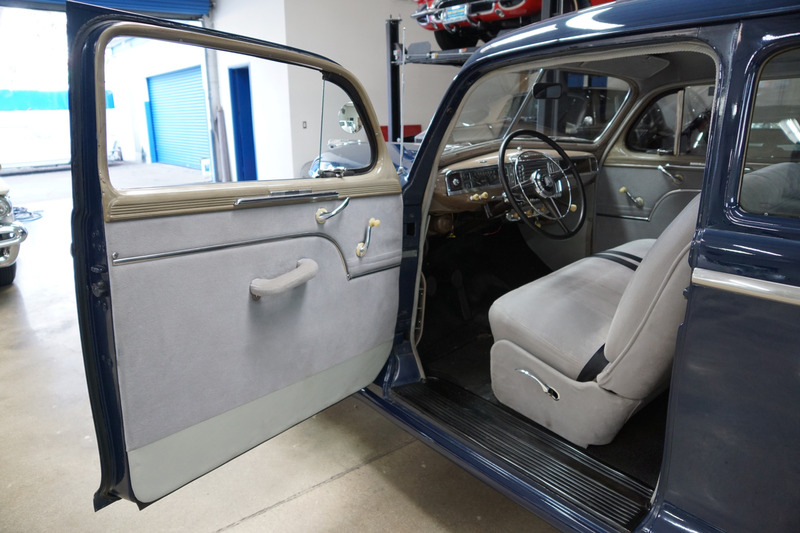 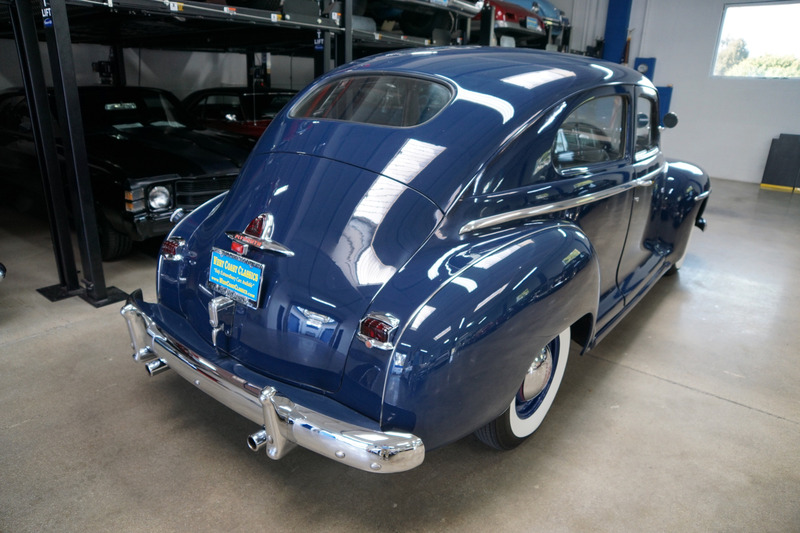 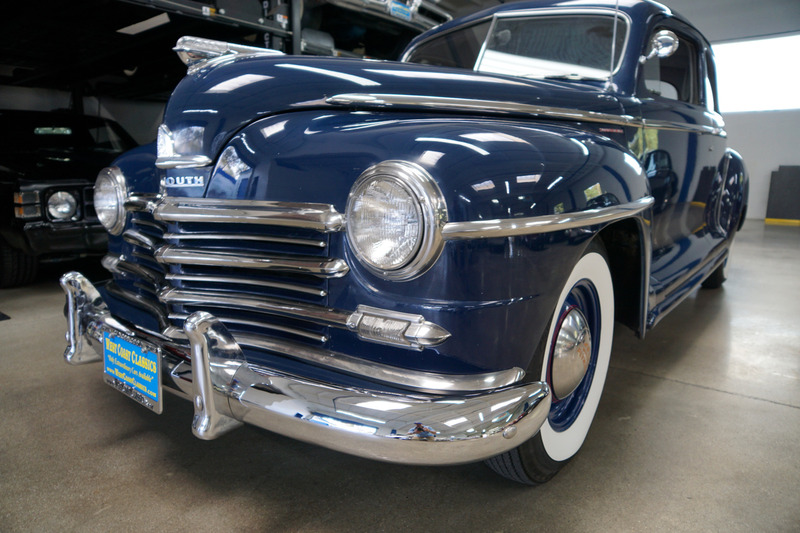 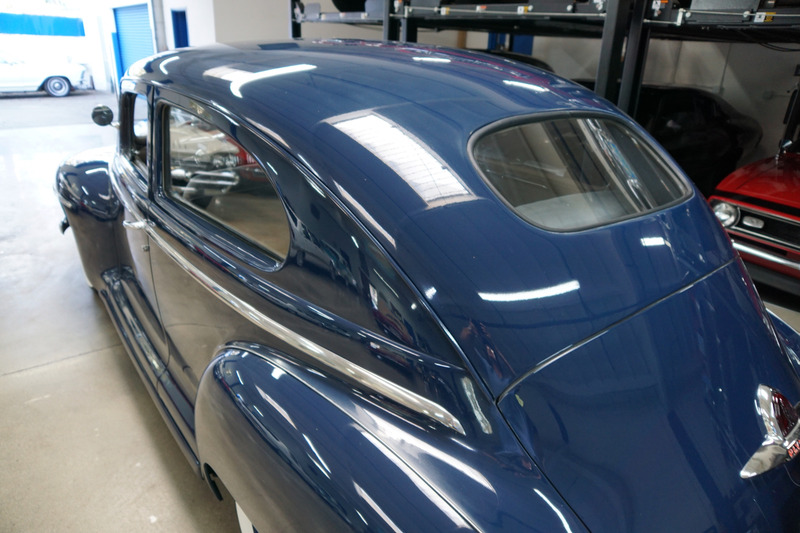 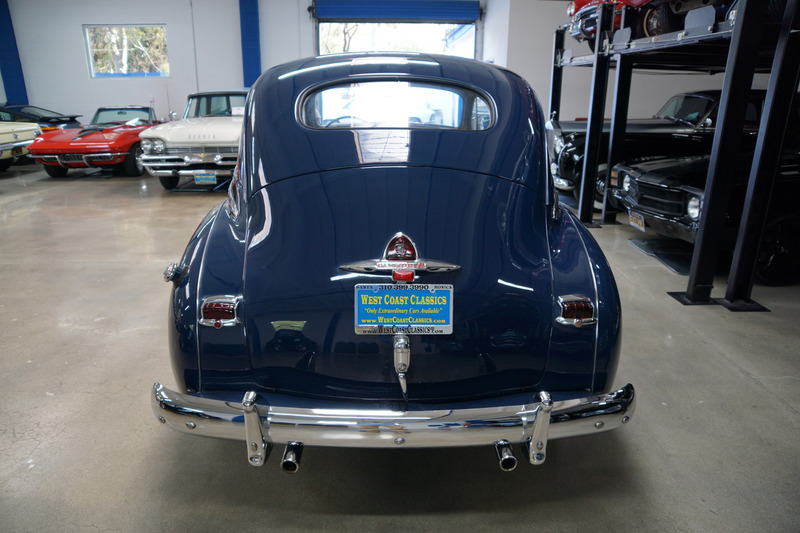 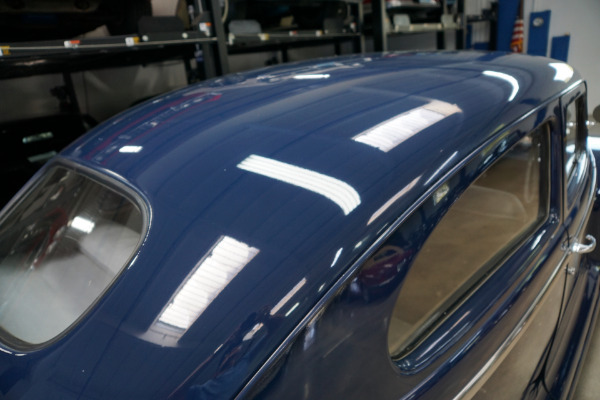 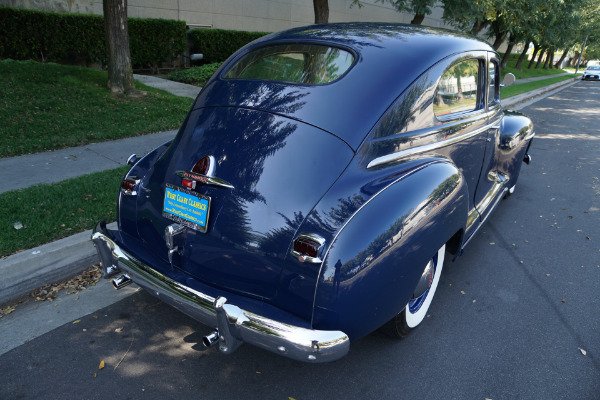 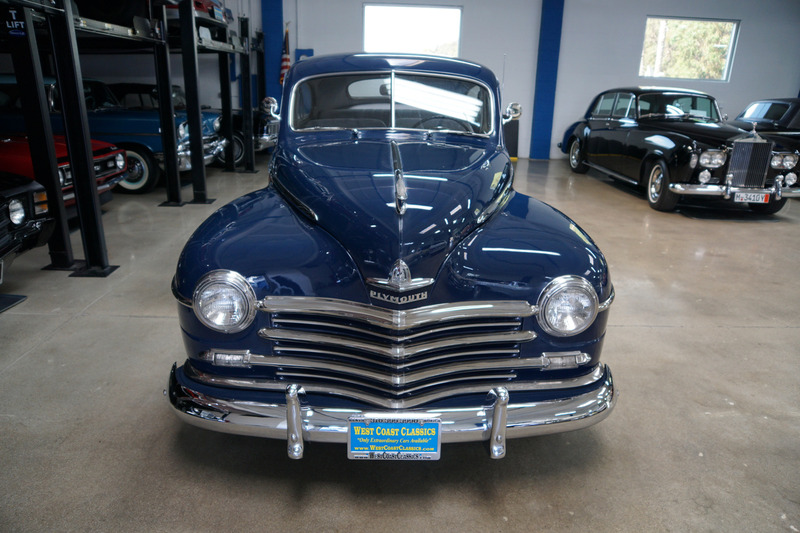 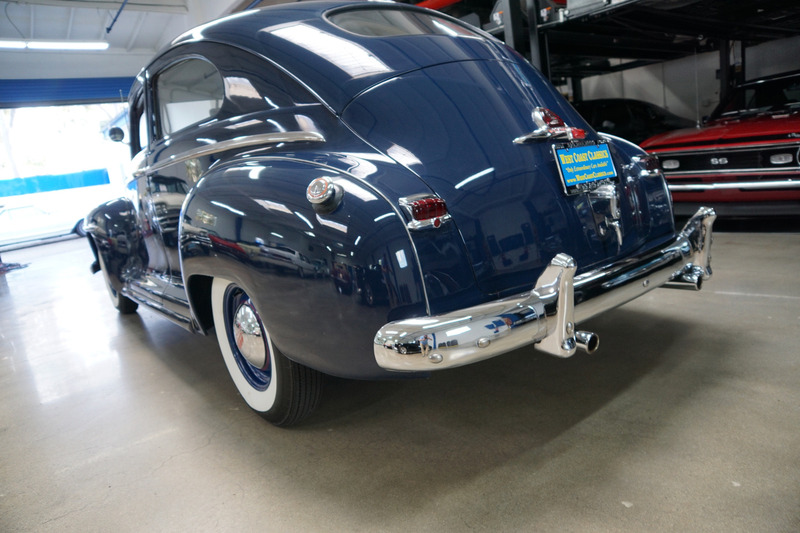 This particular car has been beautifully restored and finished in a striking 'Marine Blue' color with a light gray cloth interior. 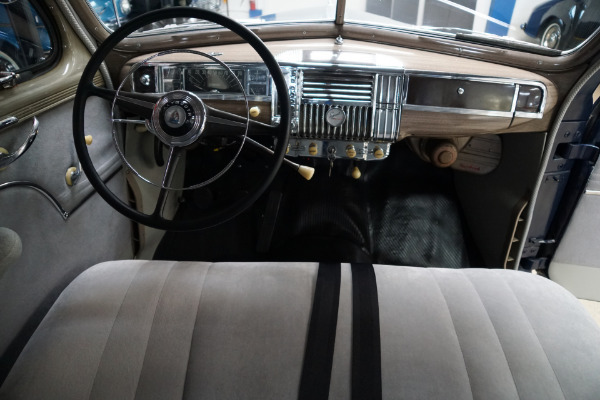 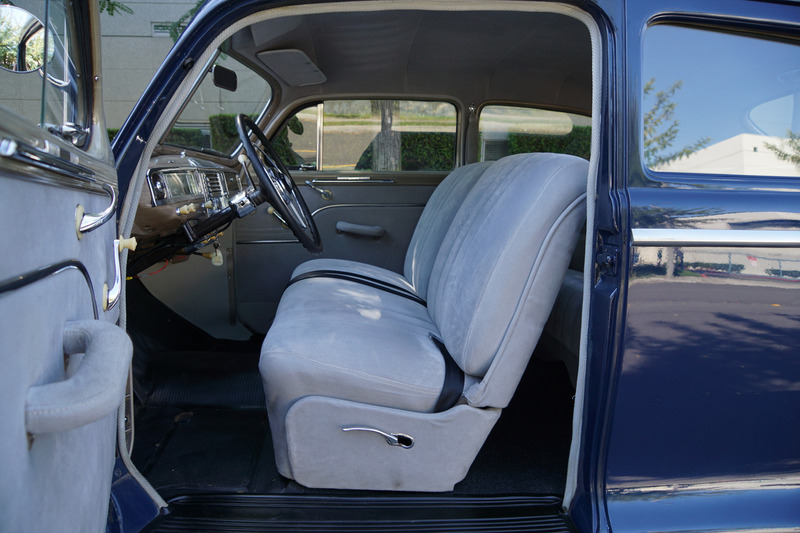 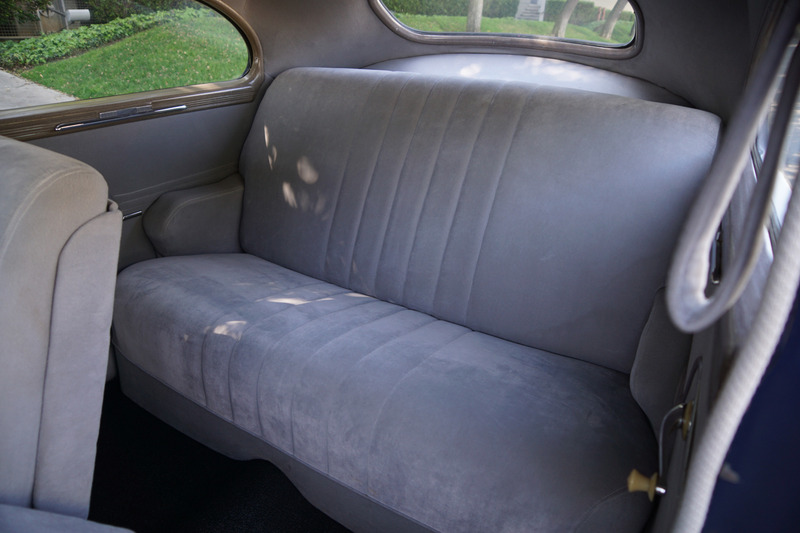 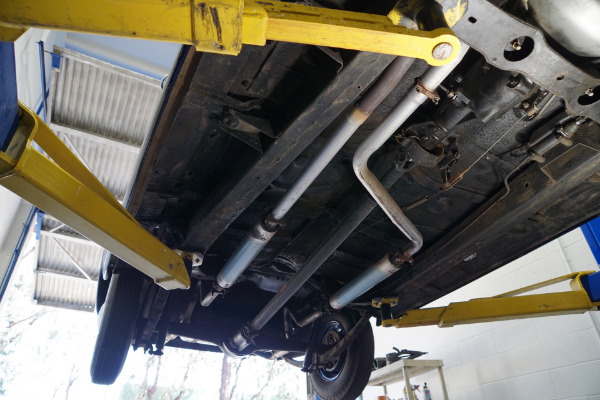 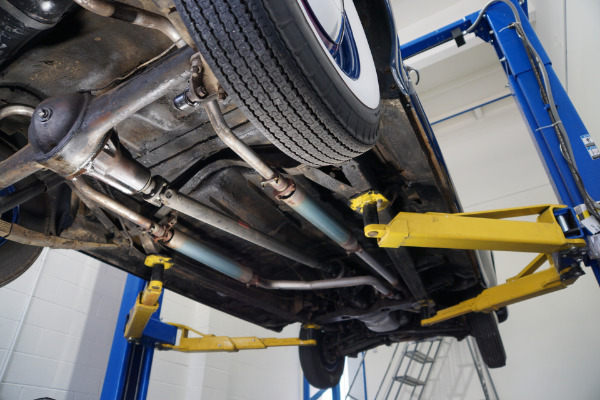 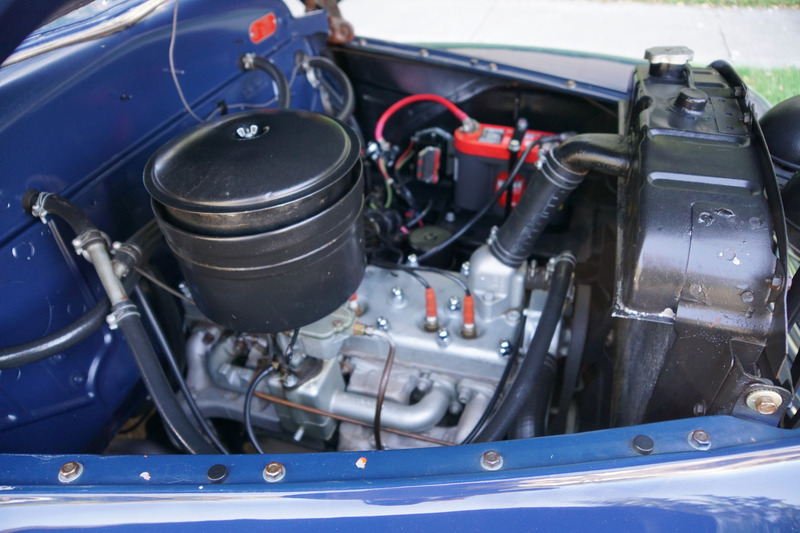 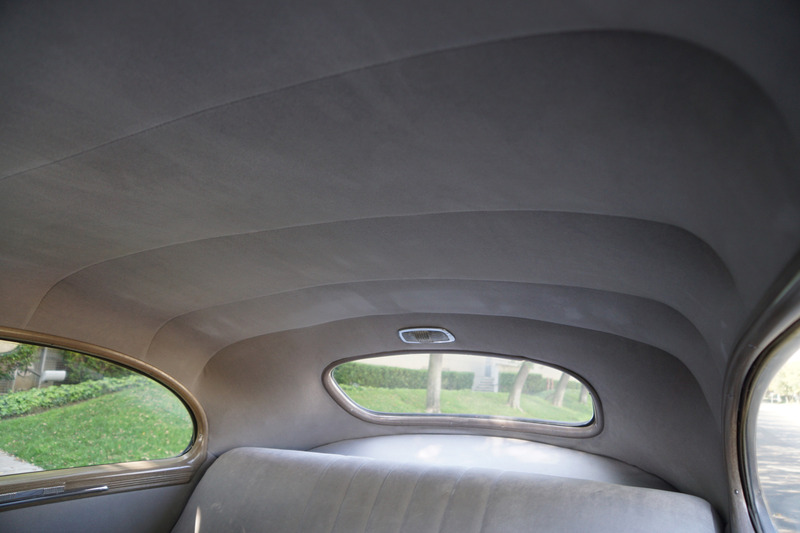 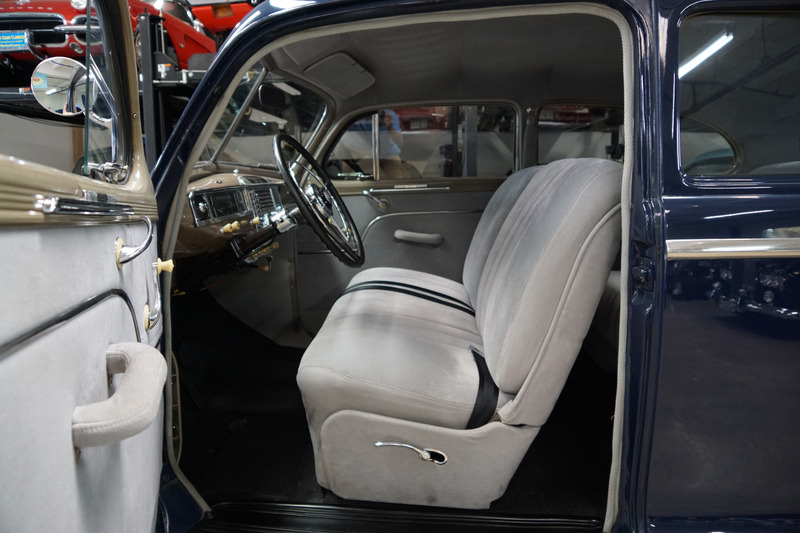 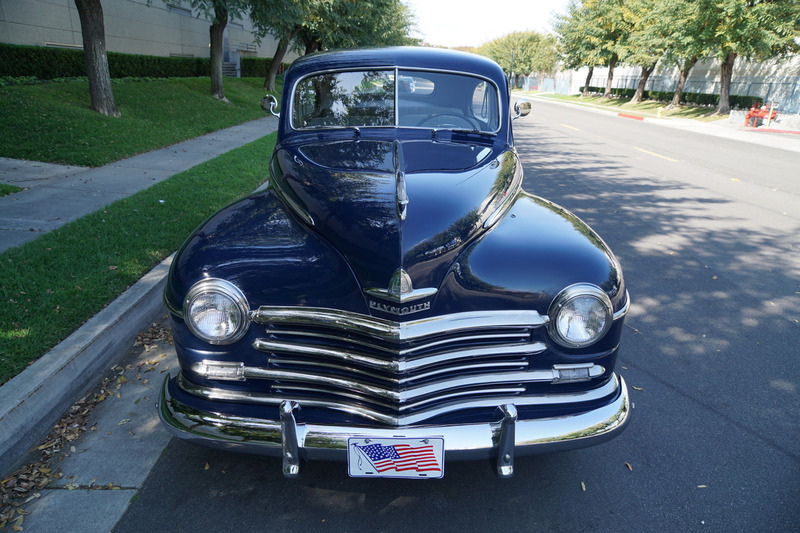 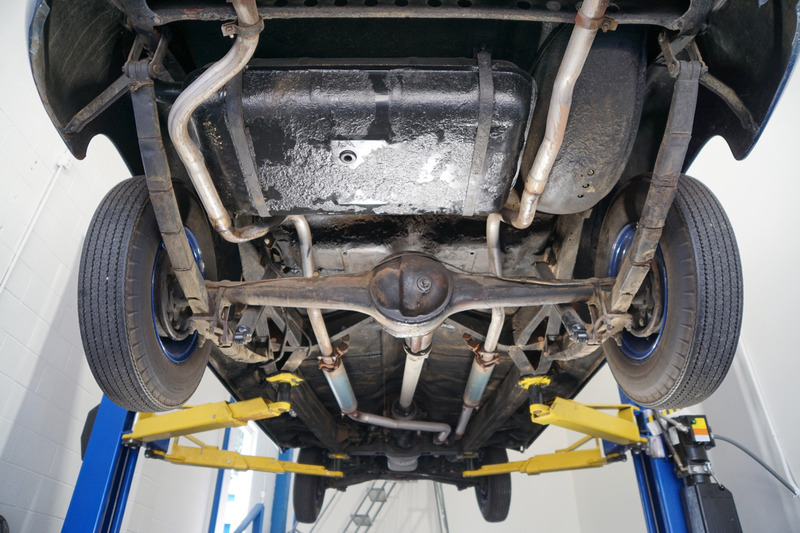 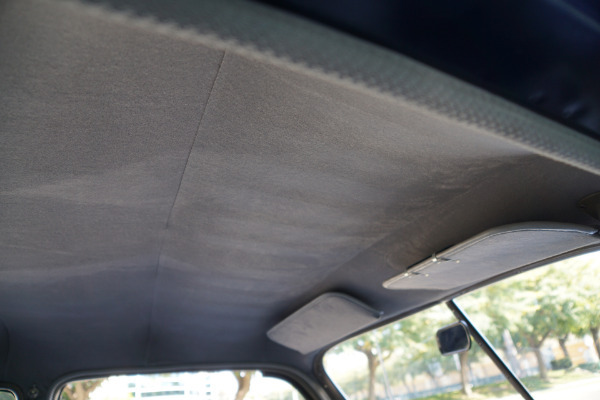 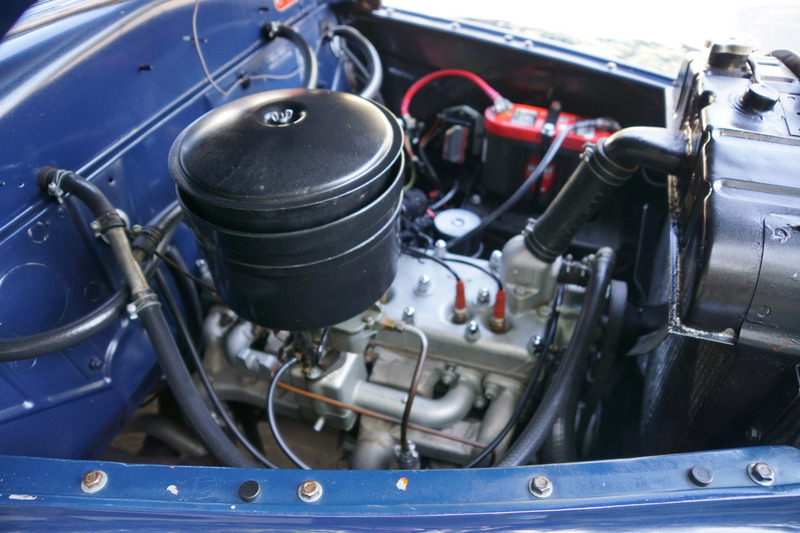 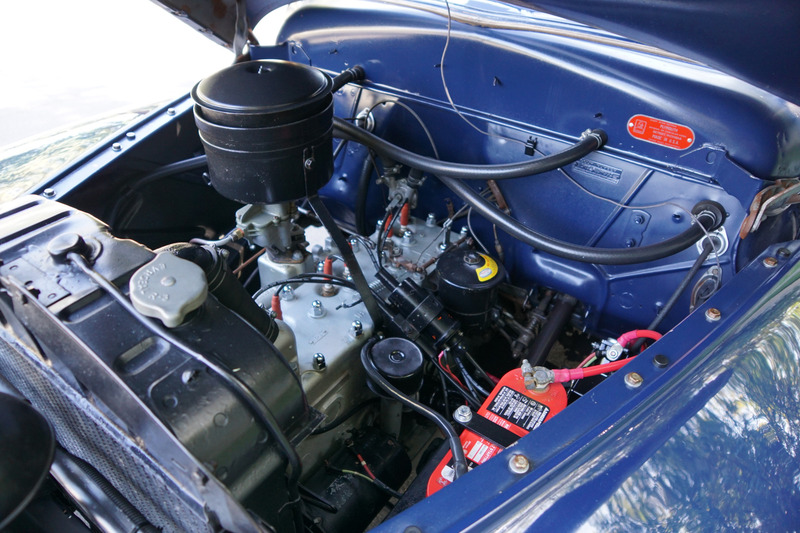 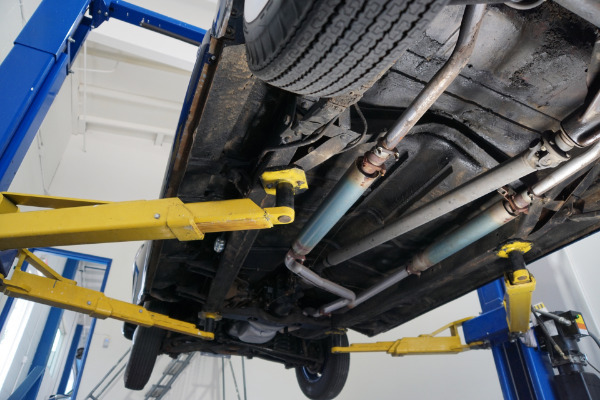 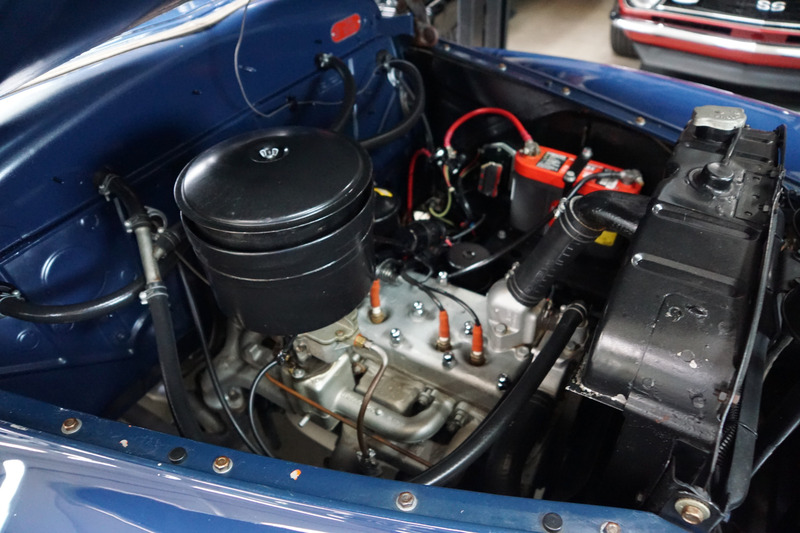 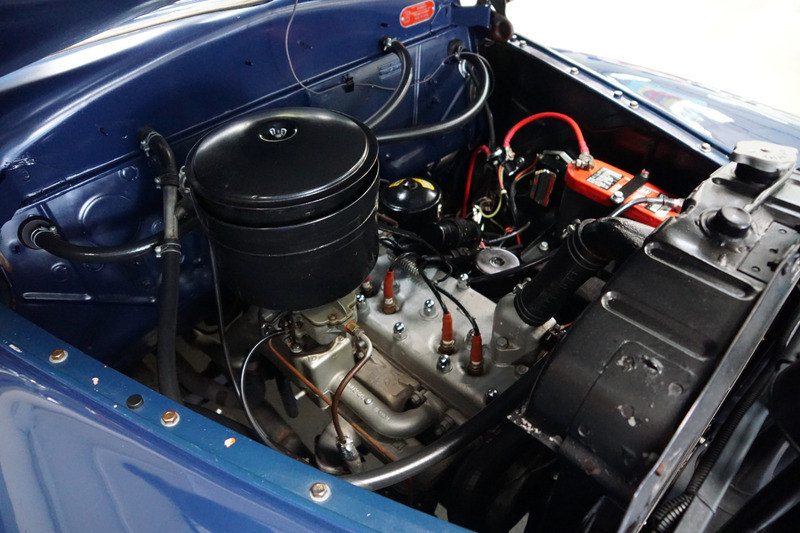 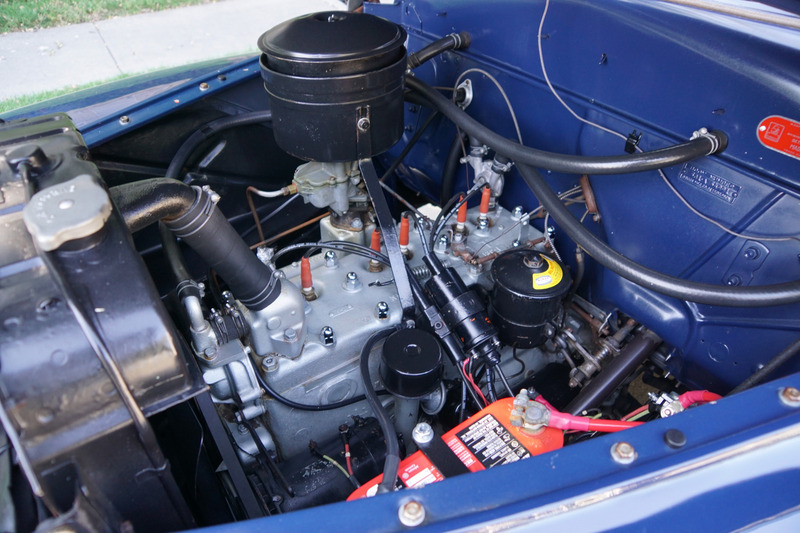 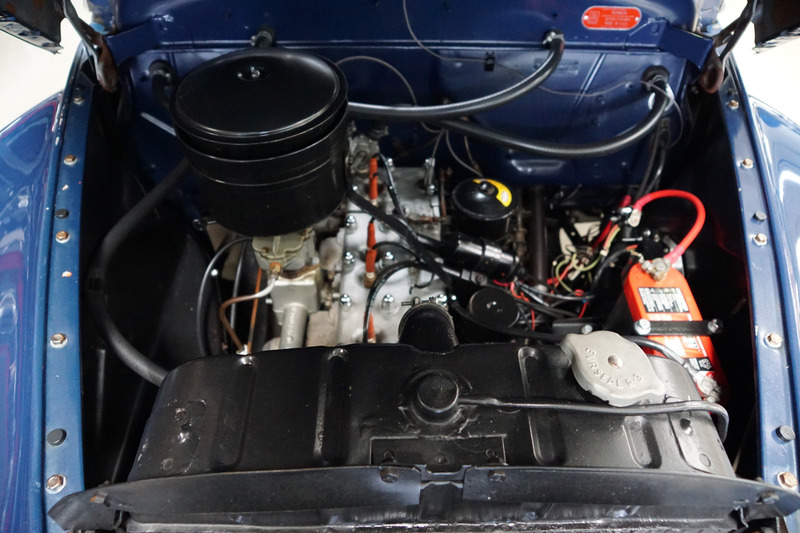 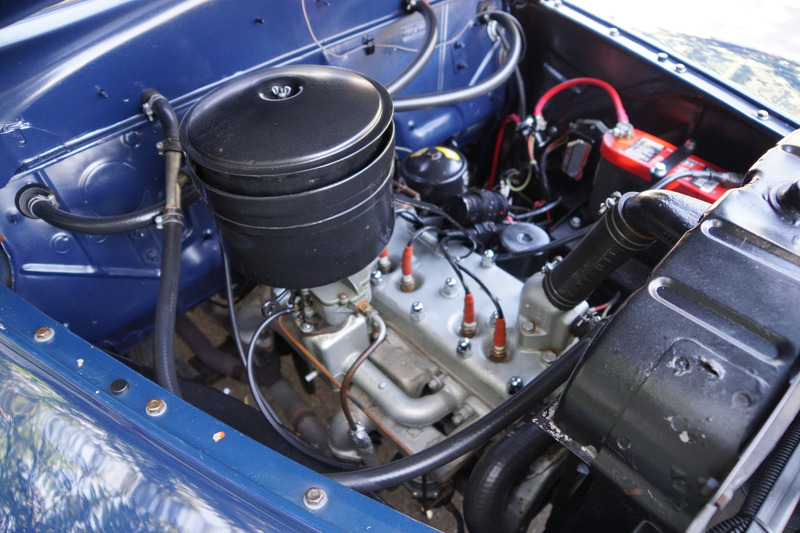 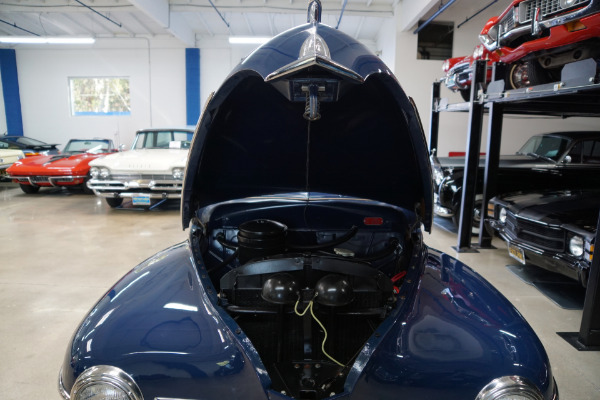 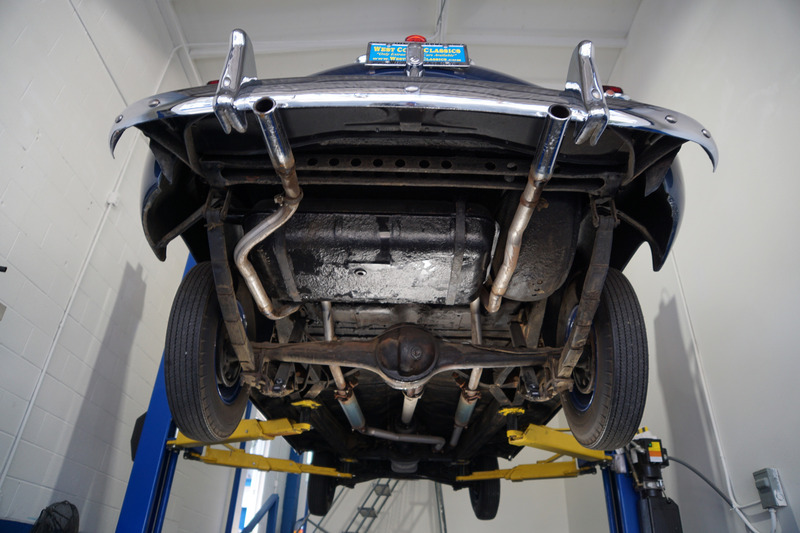 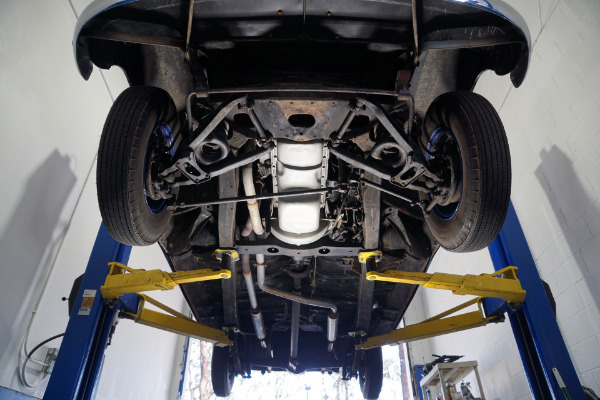 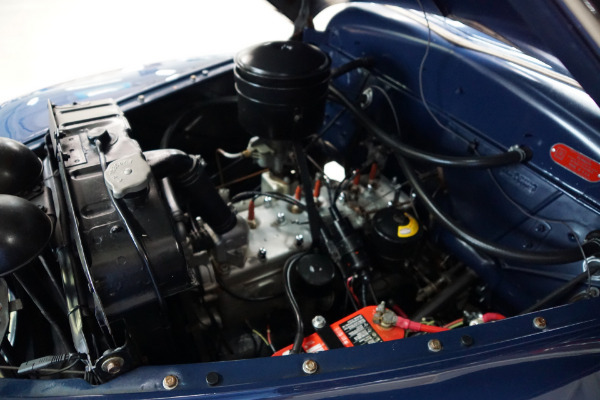 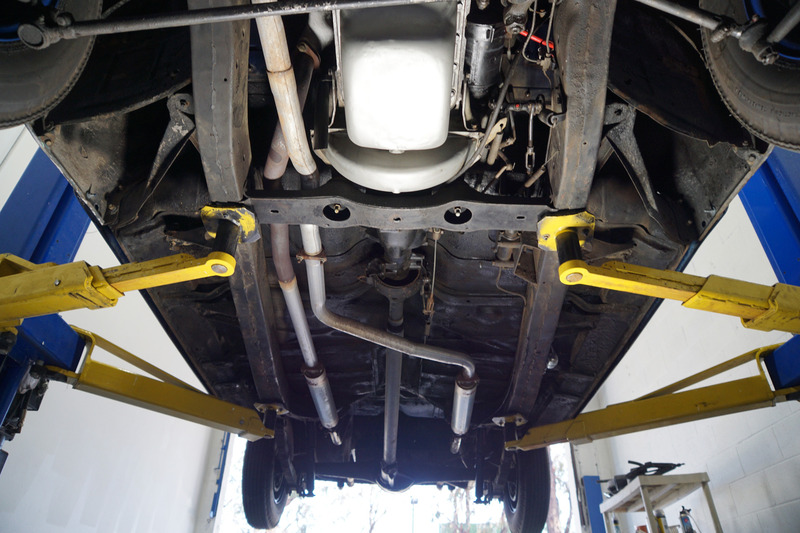 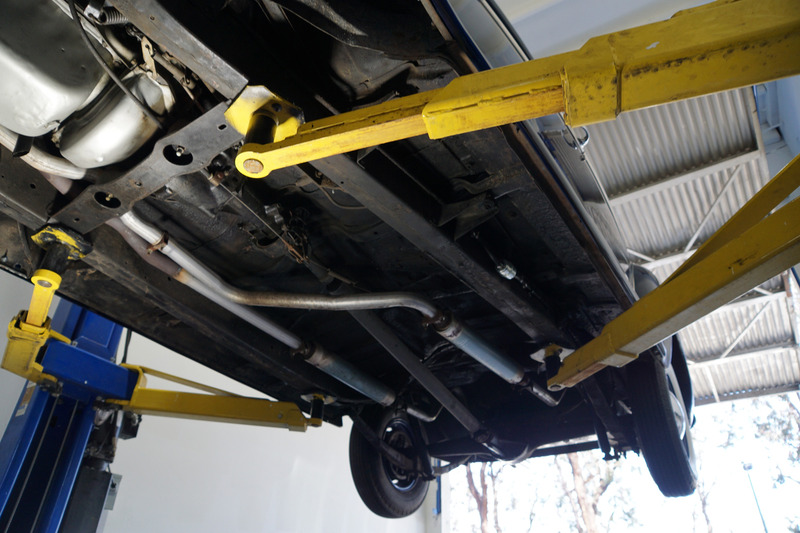 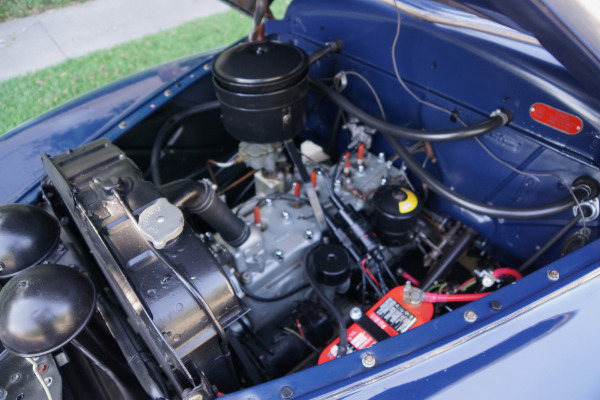 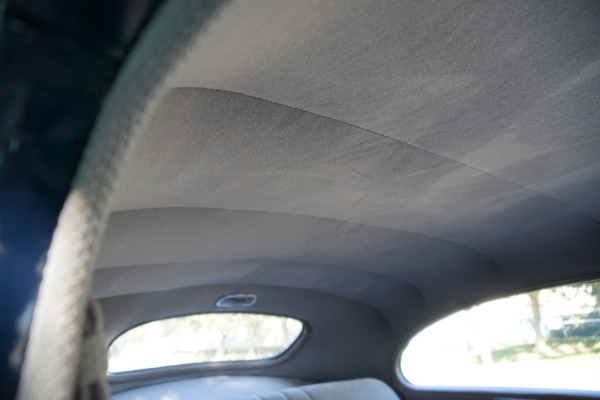 The car looks quite stunning and has been professionally restored with the whole interior in all new and virtually flawless condition throughout and all the restored chromework is also in very beautiful condition. 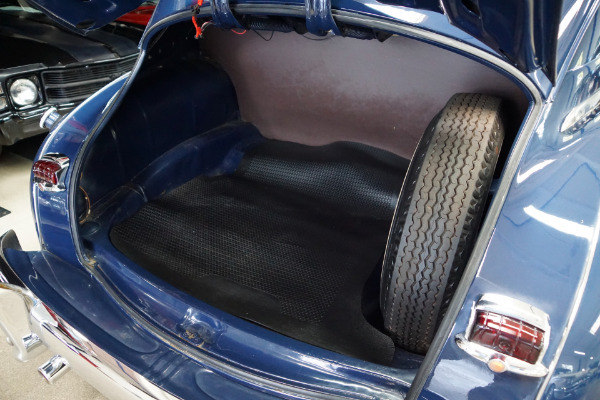 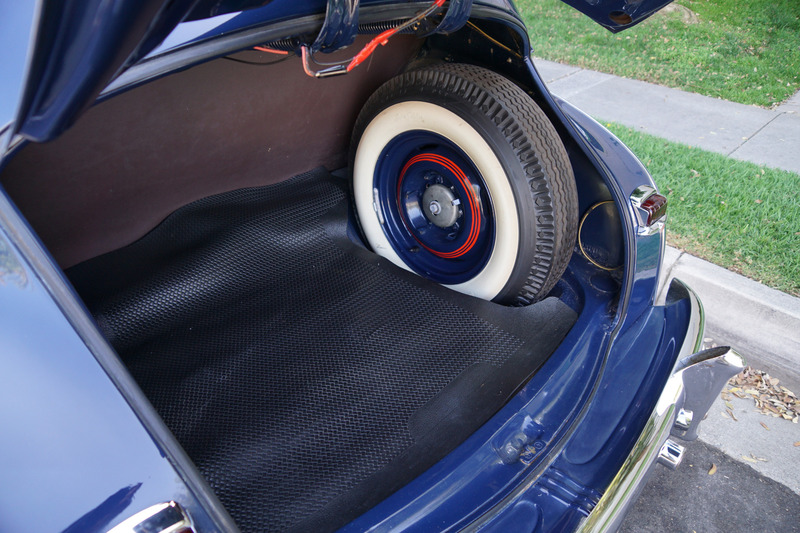 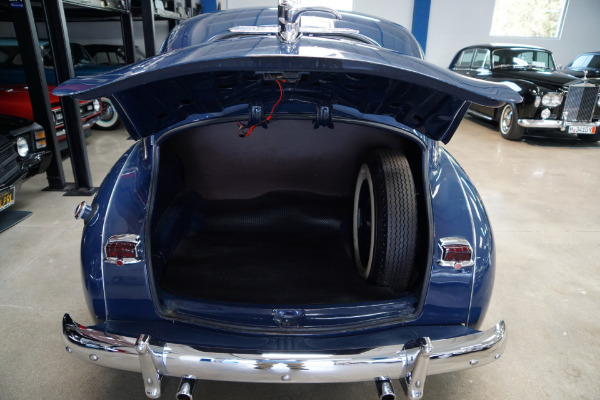 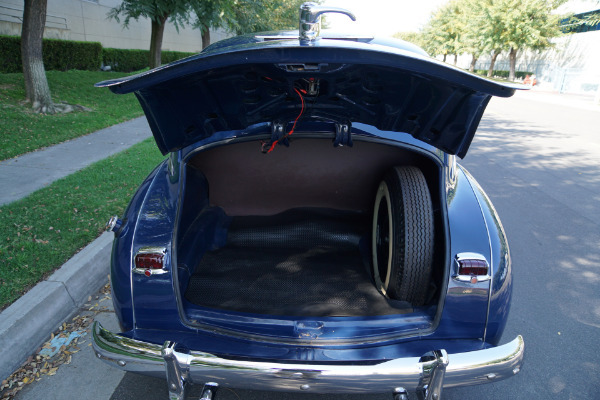 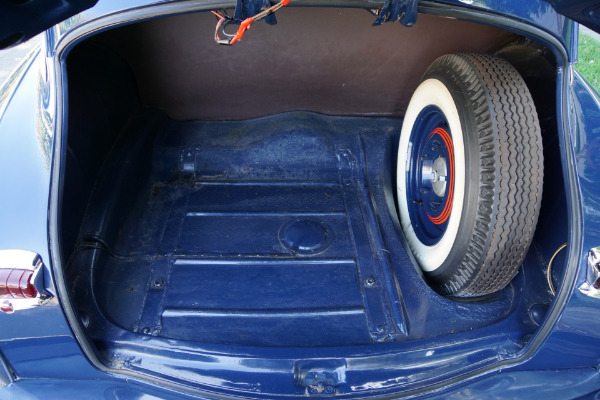 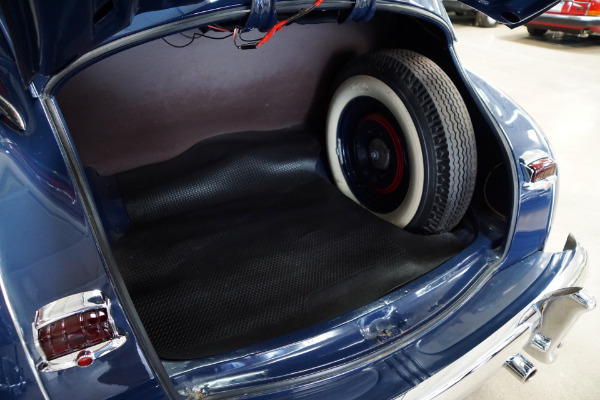 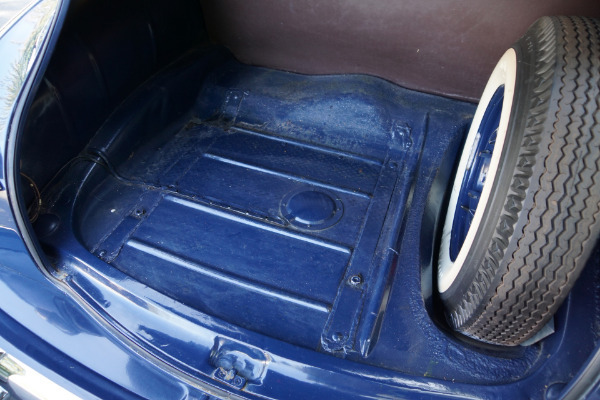 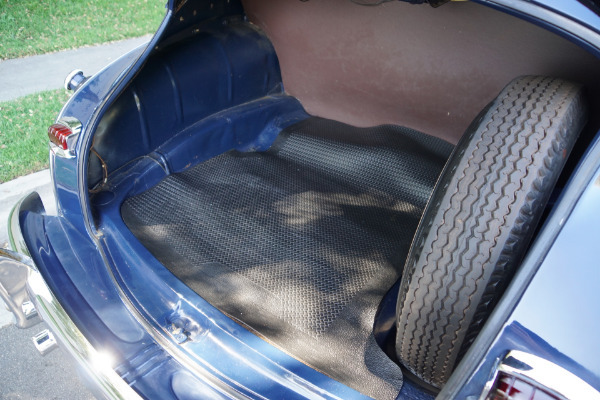 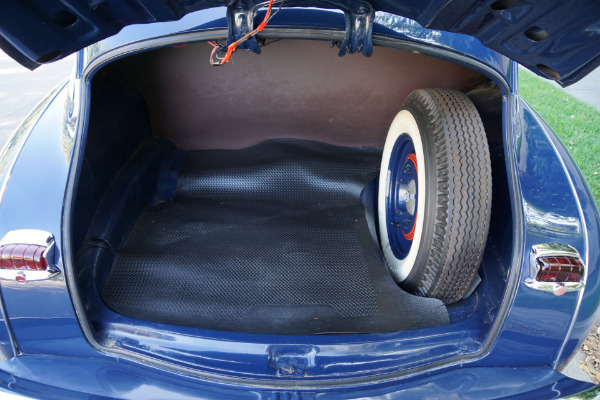 The original spare wheel is in it's rightful storage place in the trunk. 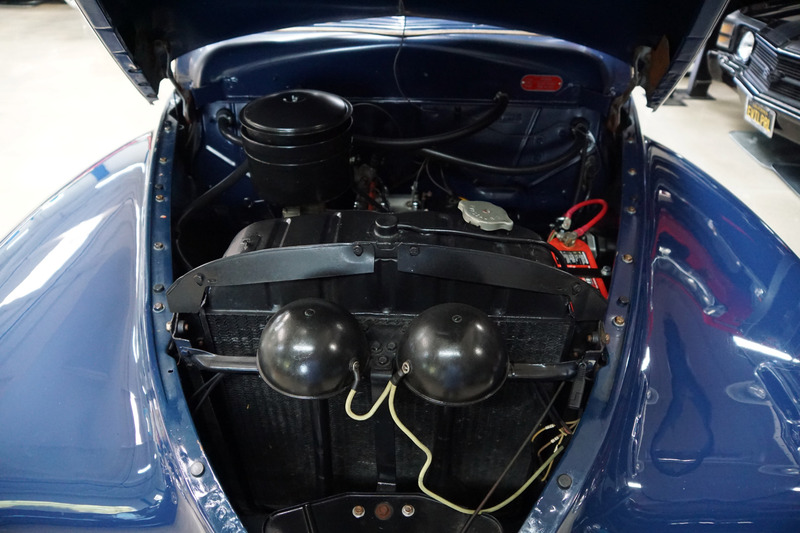 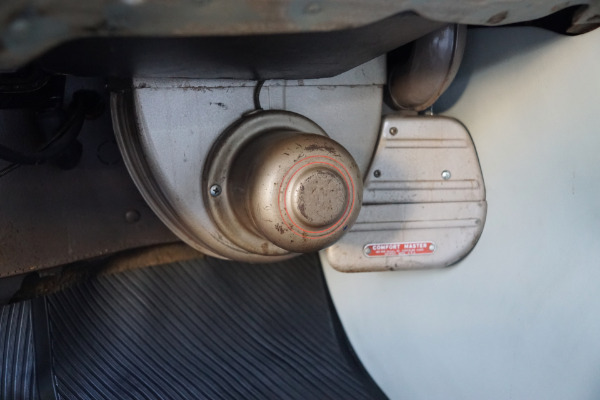 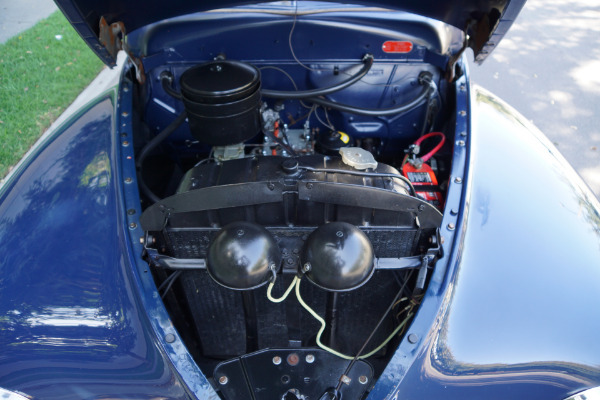 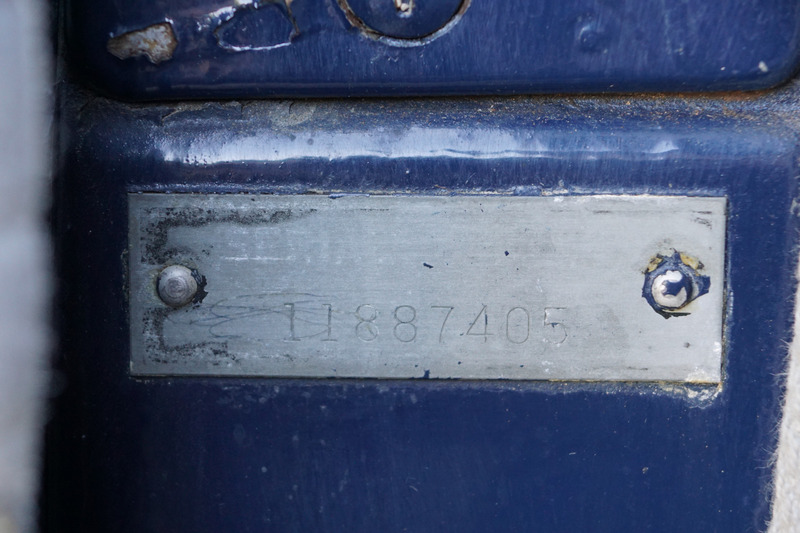 The 218 6 cylinder engine is extremely strong and powerful and this particular car drives magnificently - must be driven to be fully appreciated - drives straight as an arrow with no strange road wobbles, shakes or rattles. 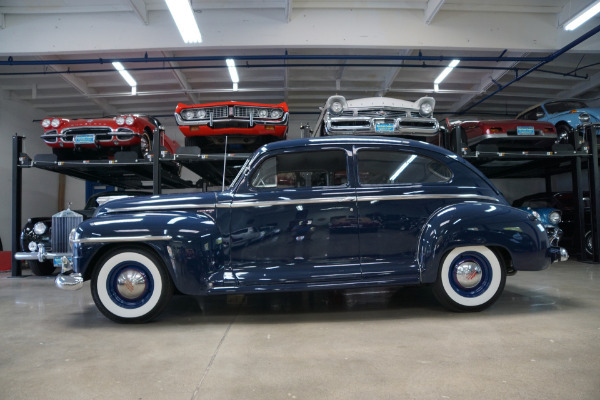 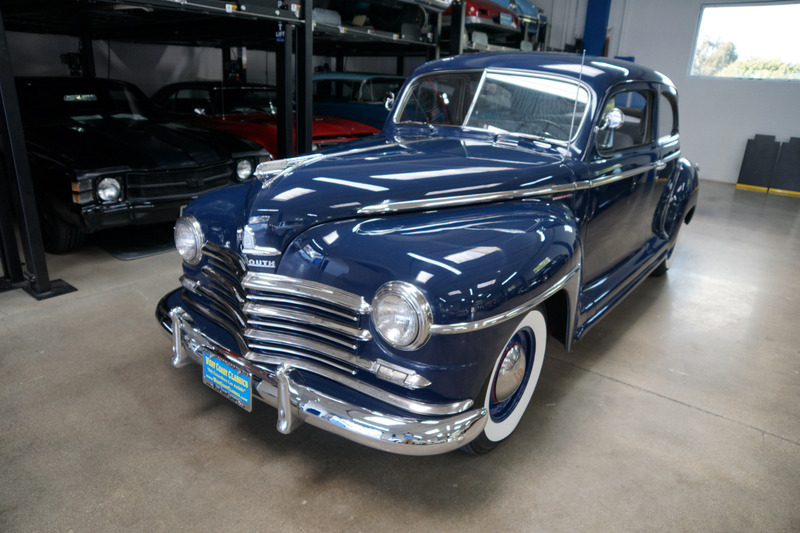 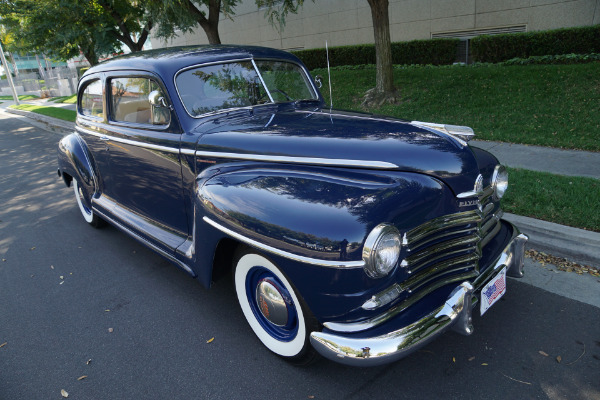 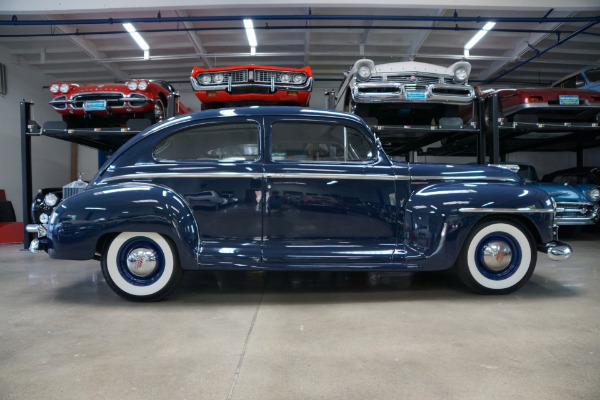 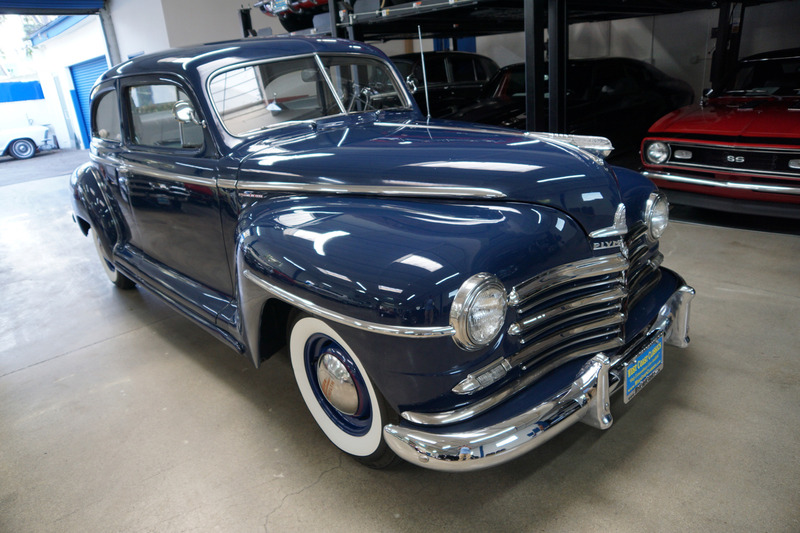 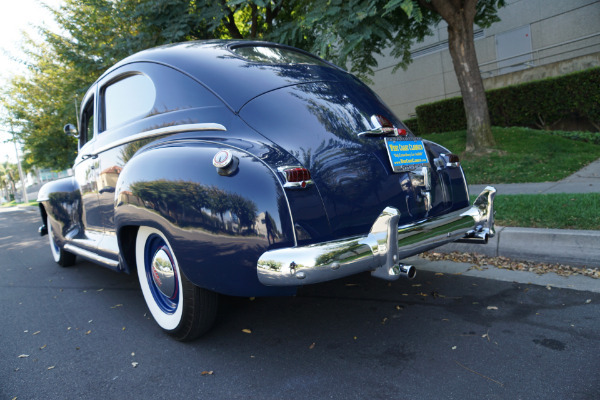 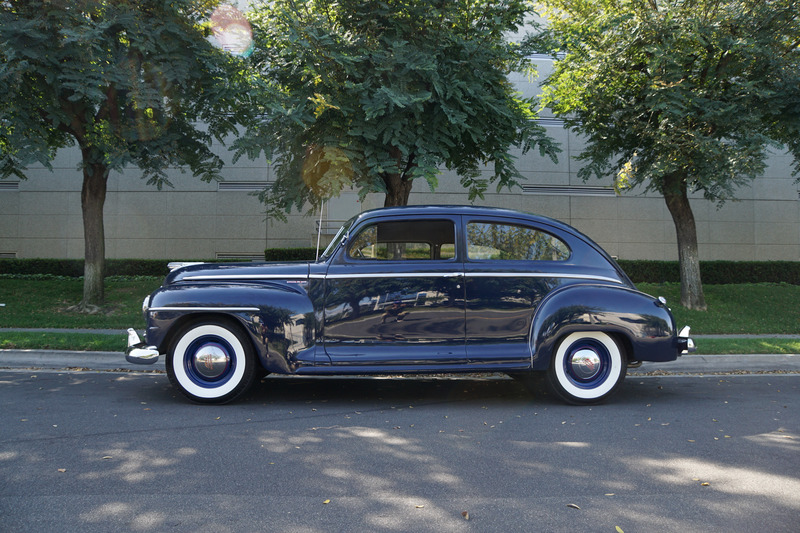 This is a rare opportunity to own a great daily driving example of a never abused (and oozing pride of ownership of an obviously always garaged and rust free example) 1948 Plymouth Special Deluxe 'Series P15' Special Deluxe Coupe in simply superb condition throughout! 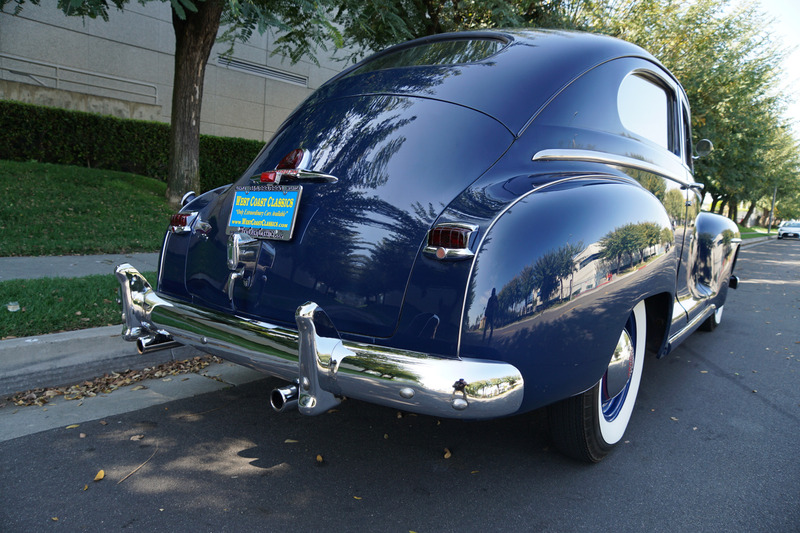 We doubt that few finer examples exist anywhere.